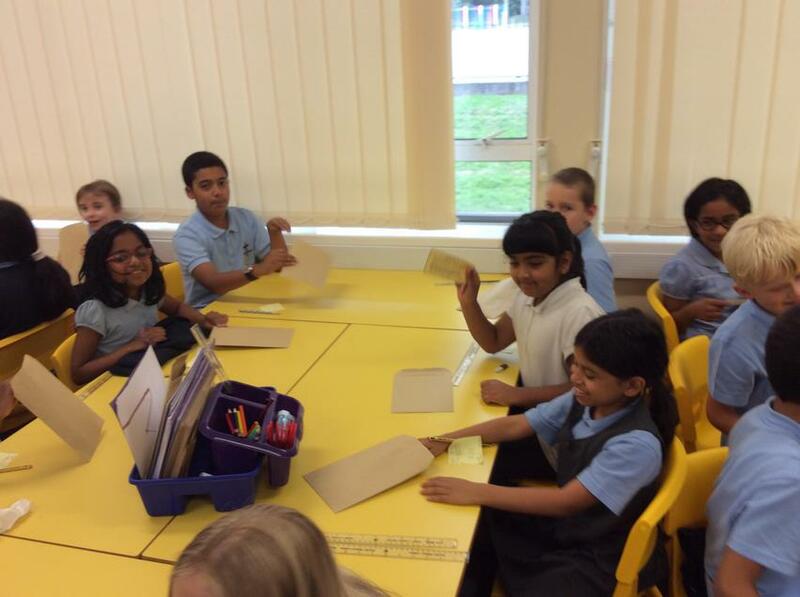 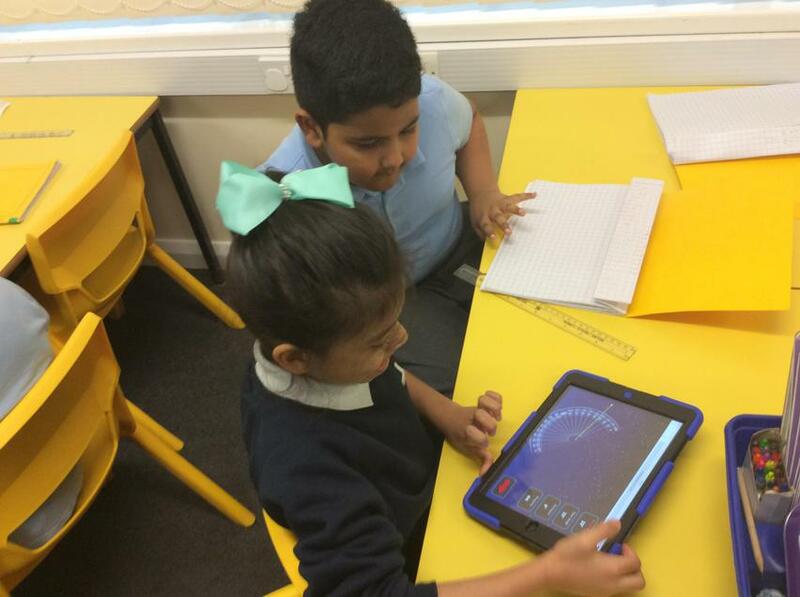 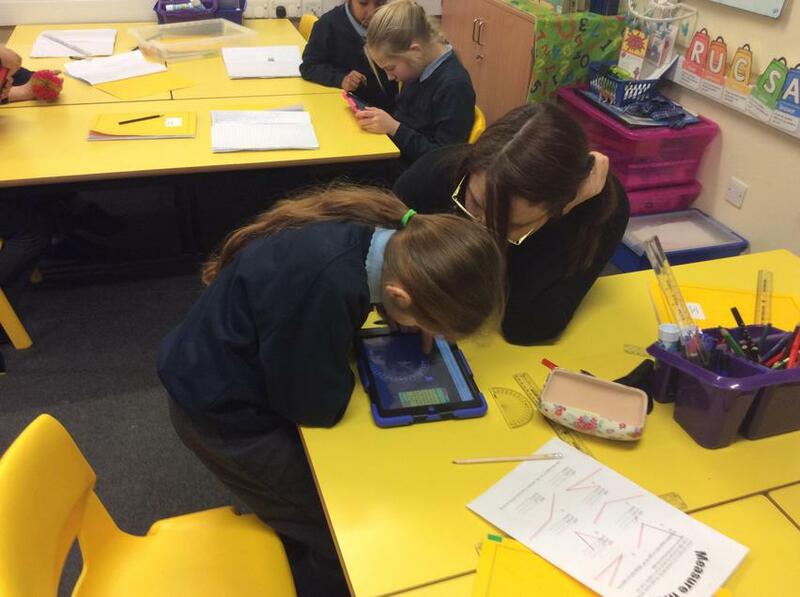 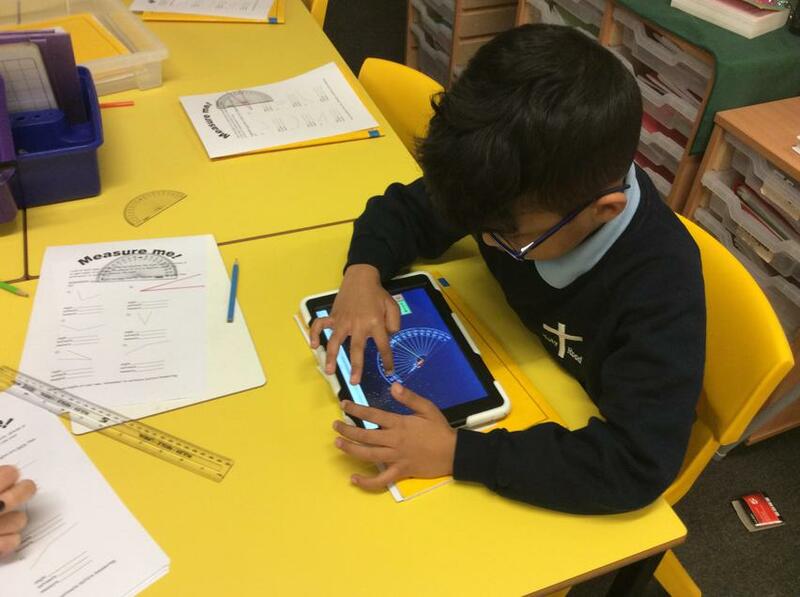 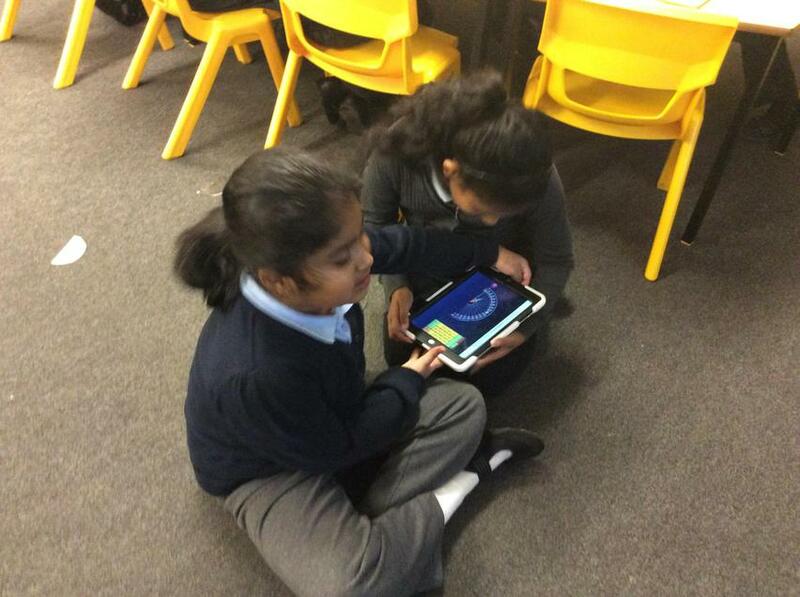 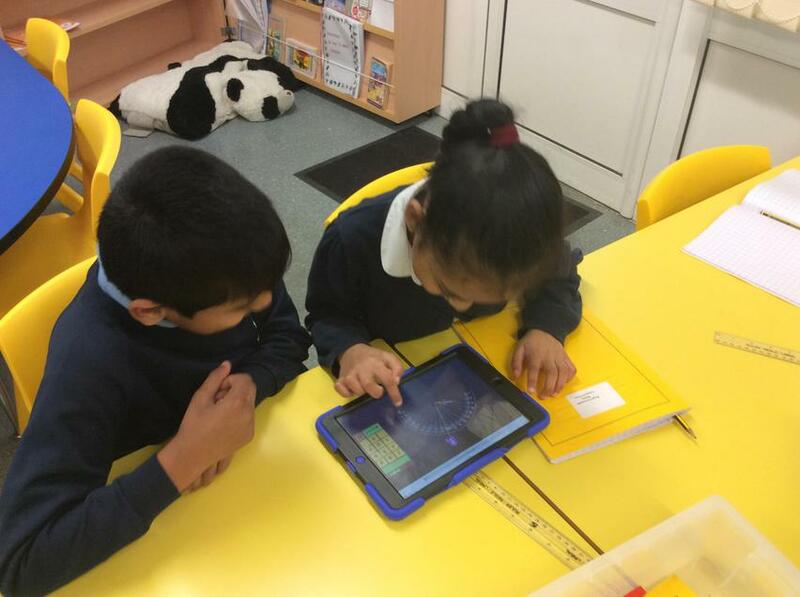 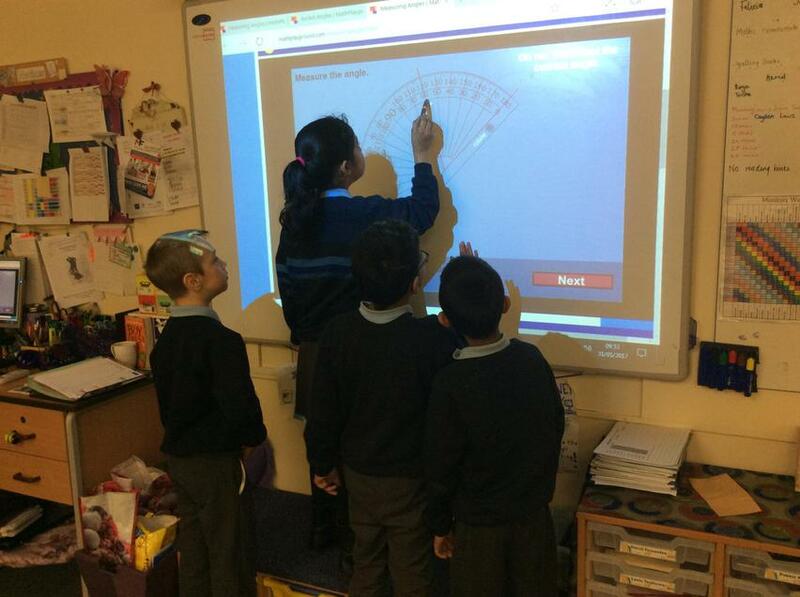 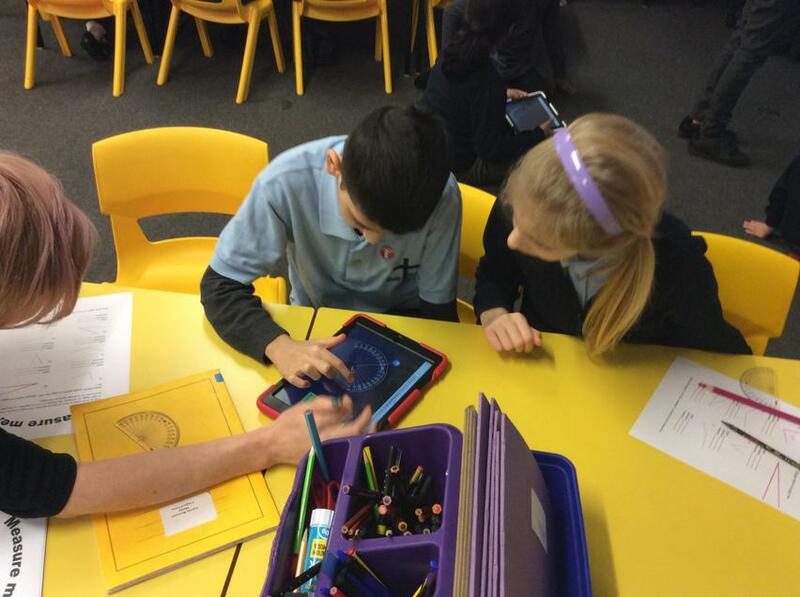 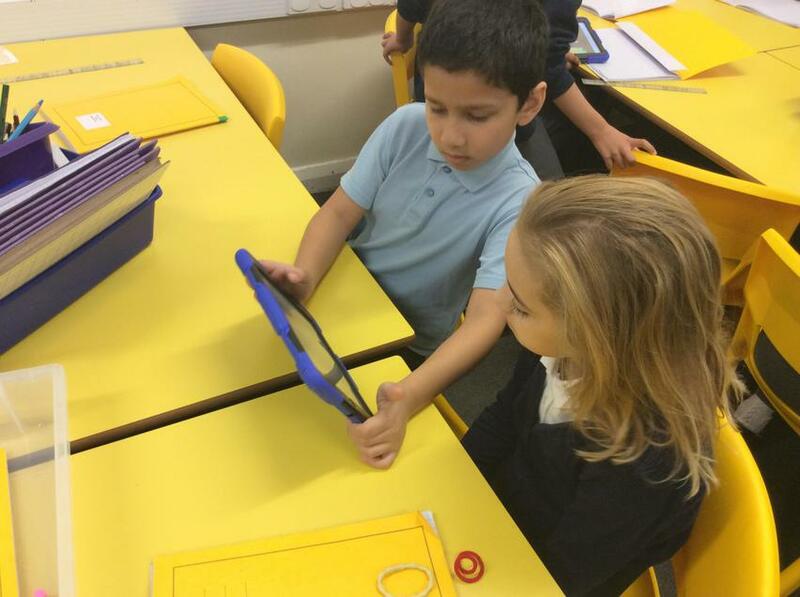 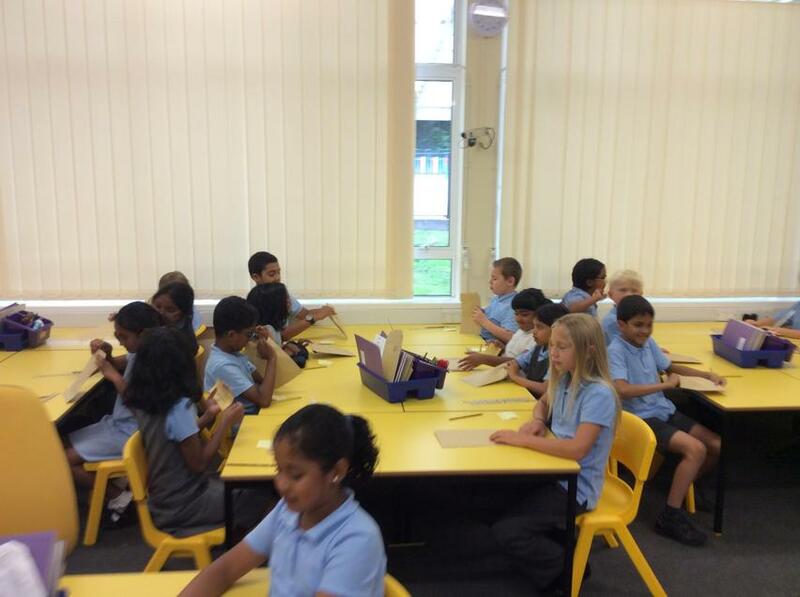 In Maths we have been learning about Angles the different types and how to read and Angle using a protractor. 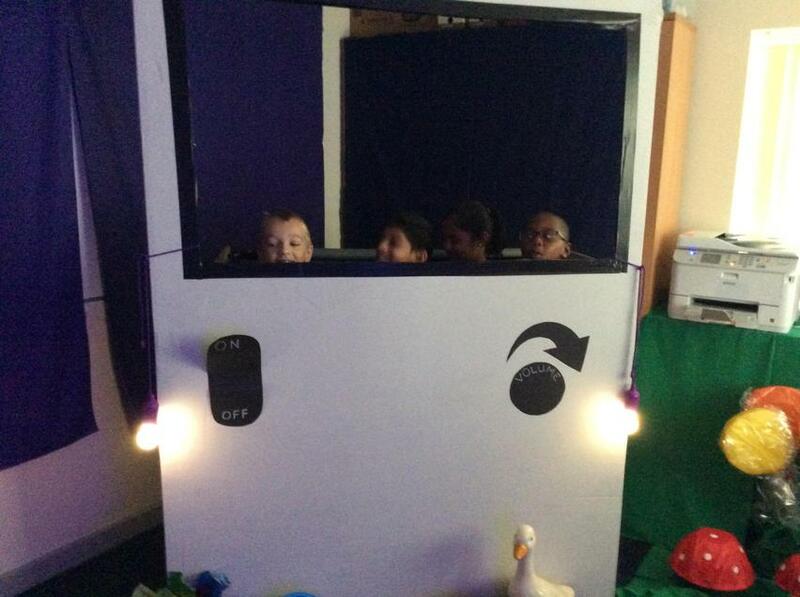 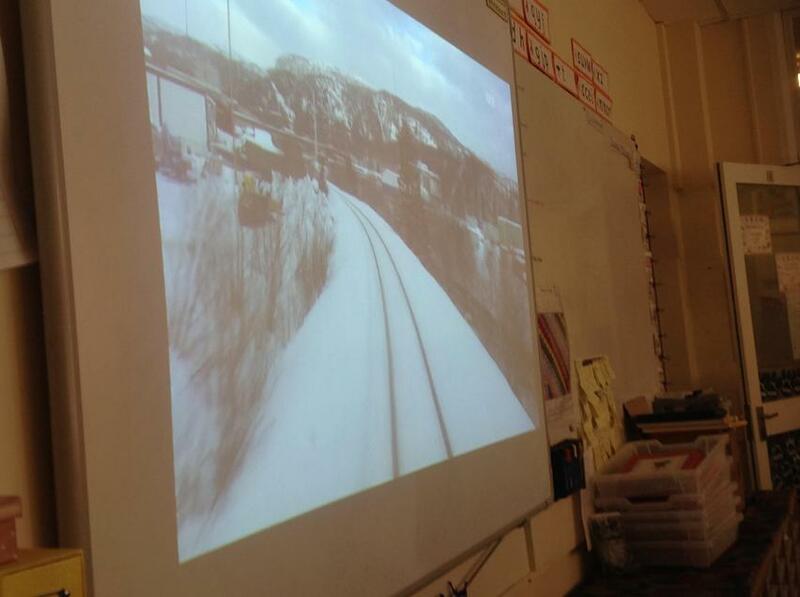 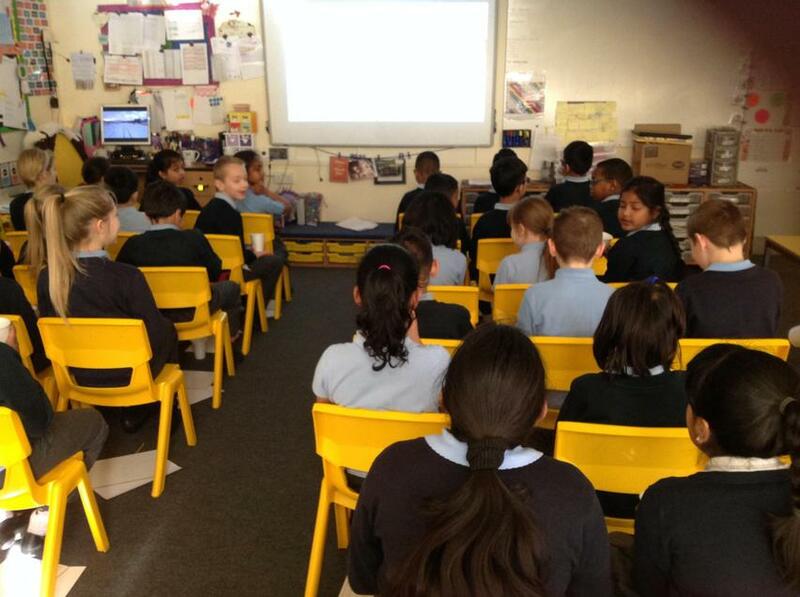 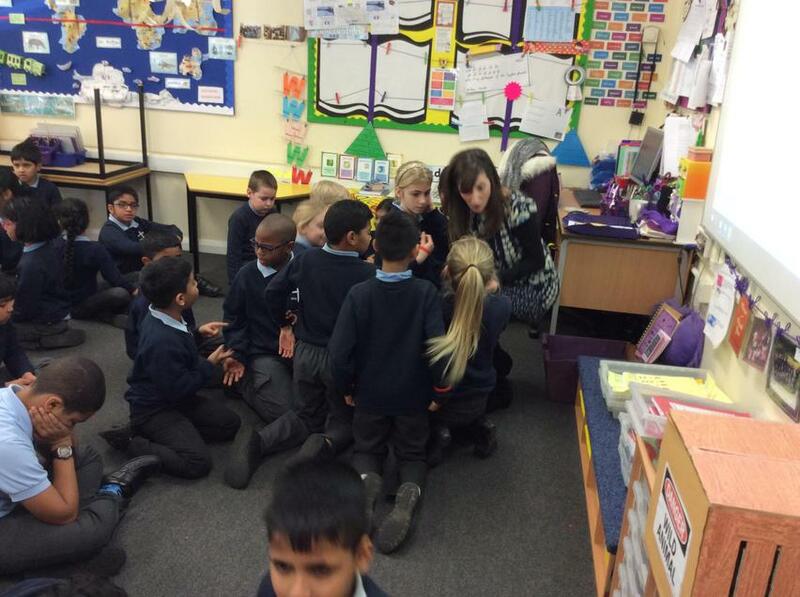 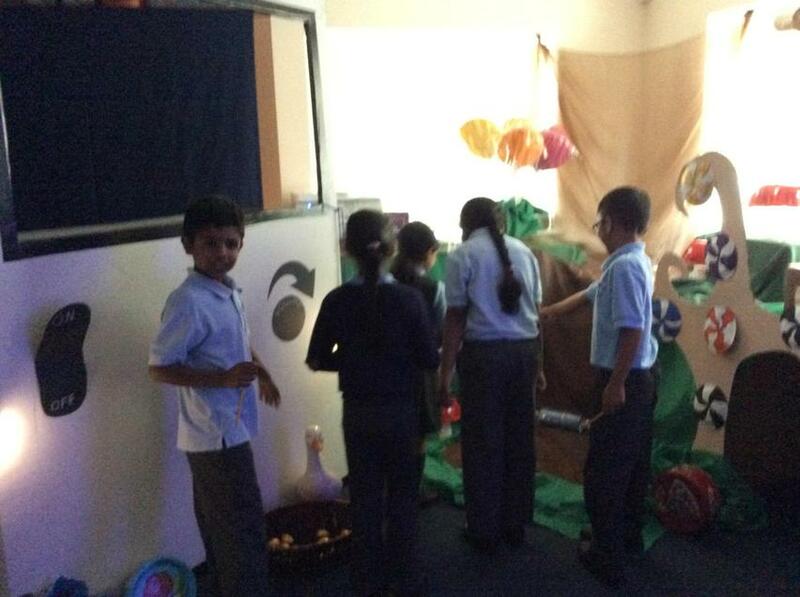 In English we went on a virtual train journey from this we had to use all of our senses to write a piece of work about our experience. 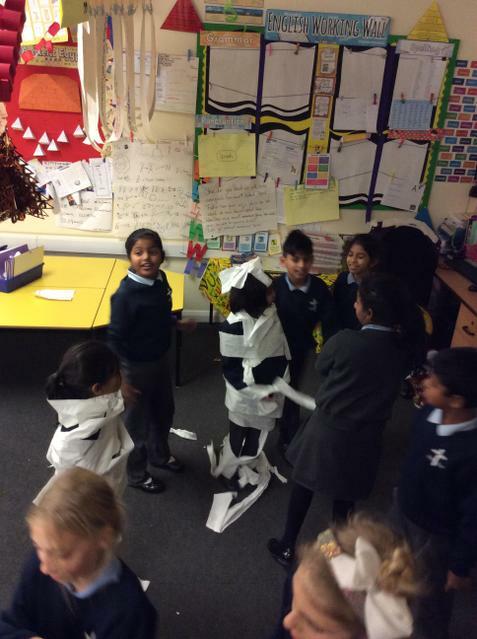 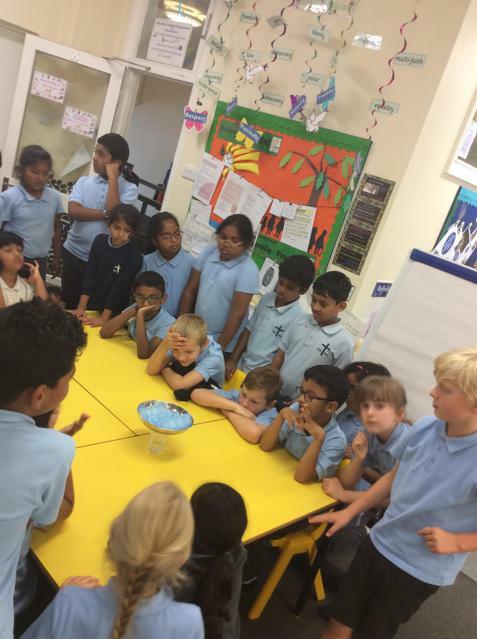 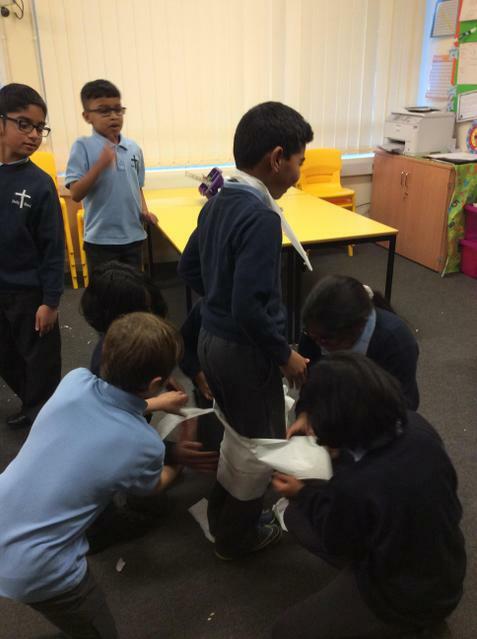 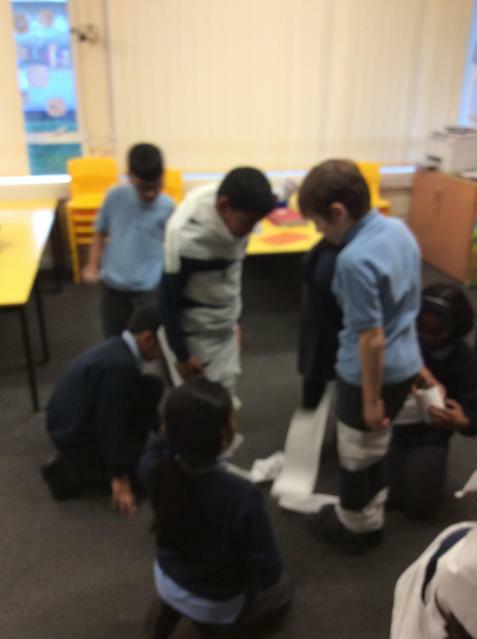 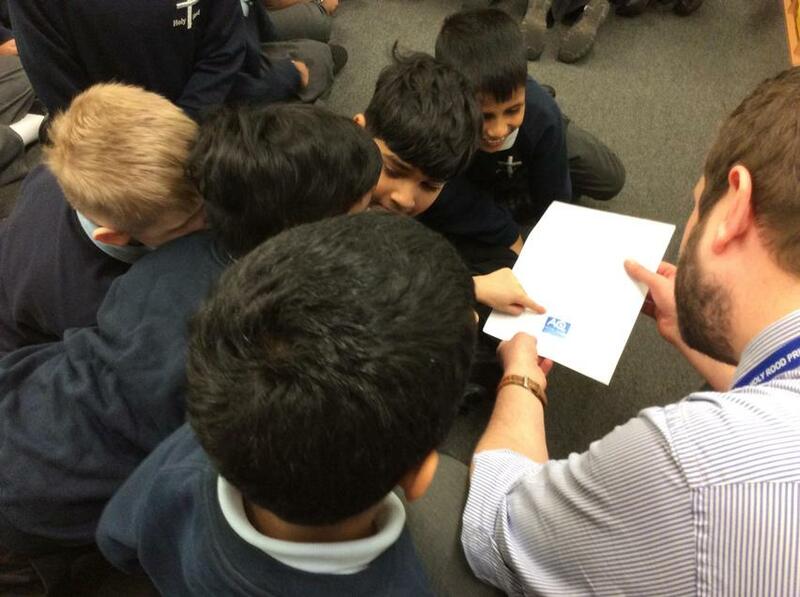 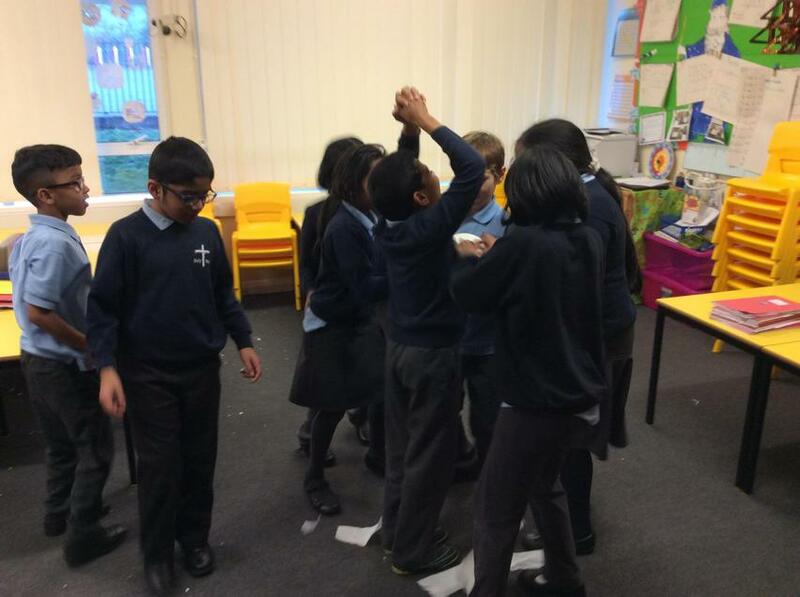 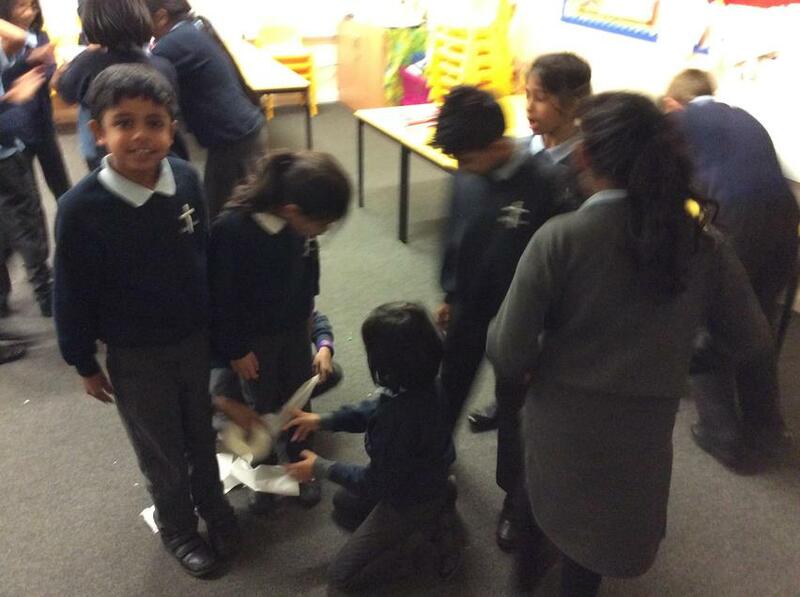 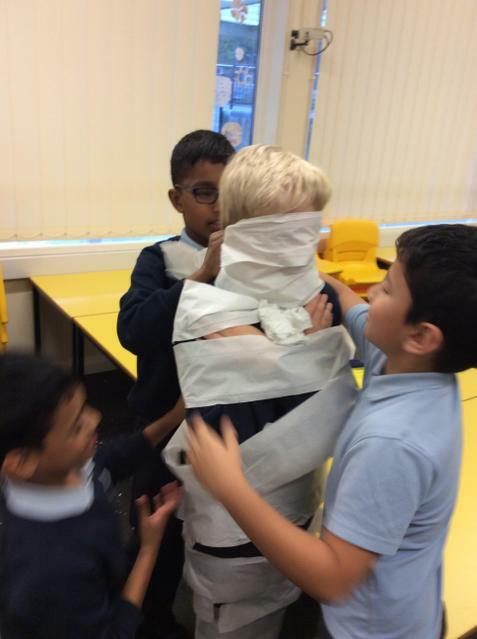 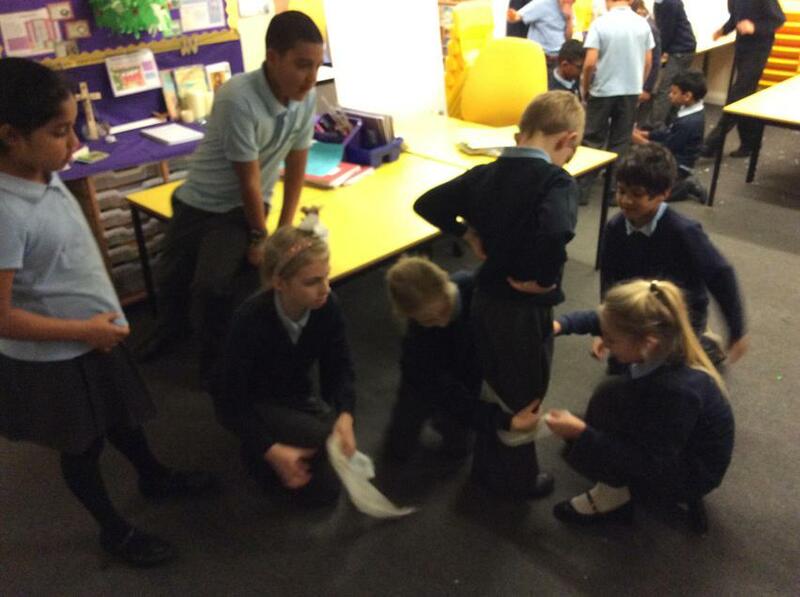 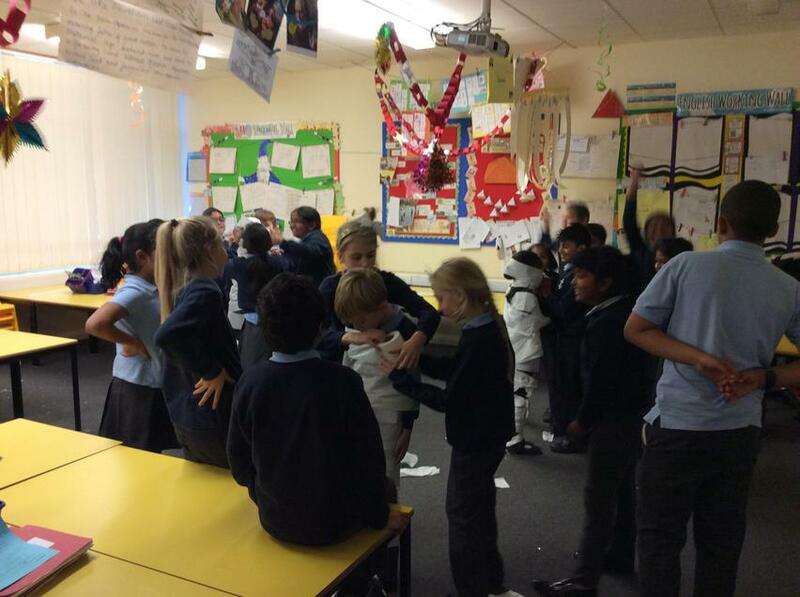 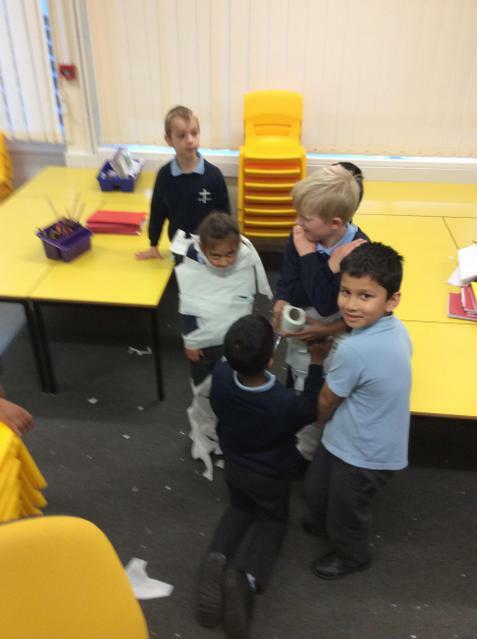 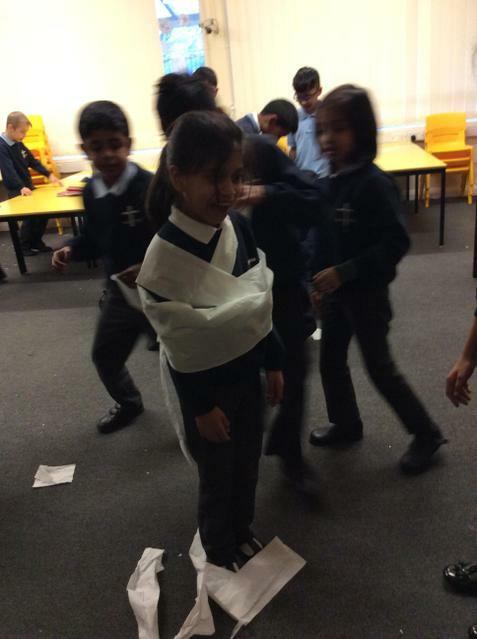 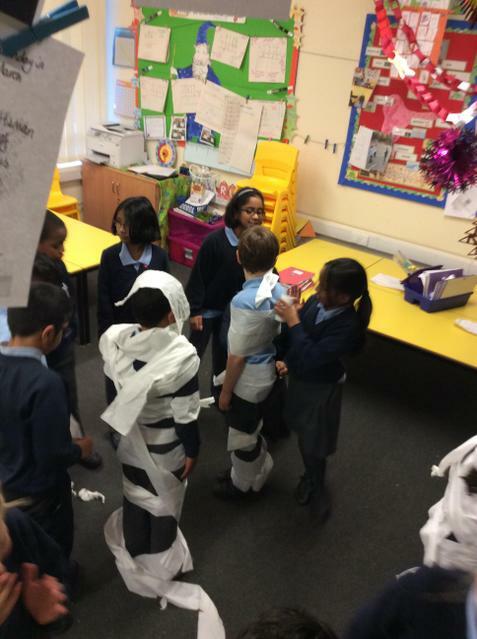 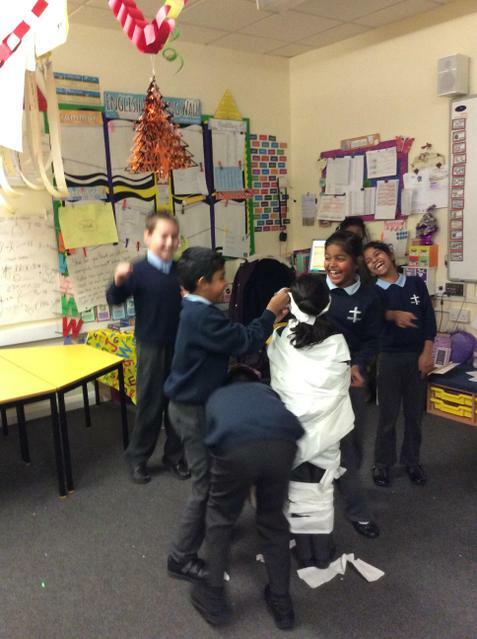 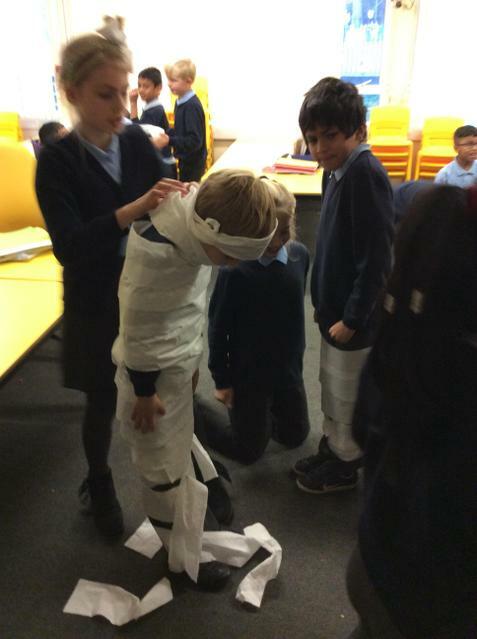 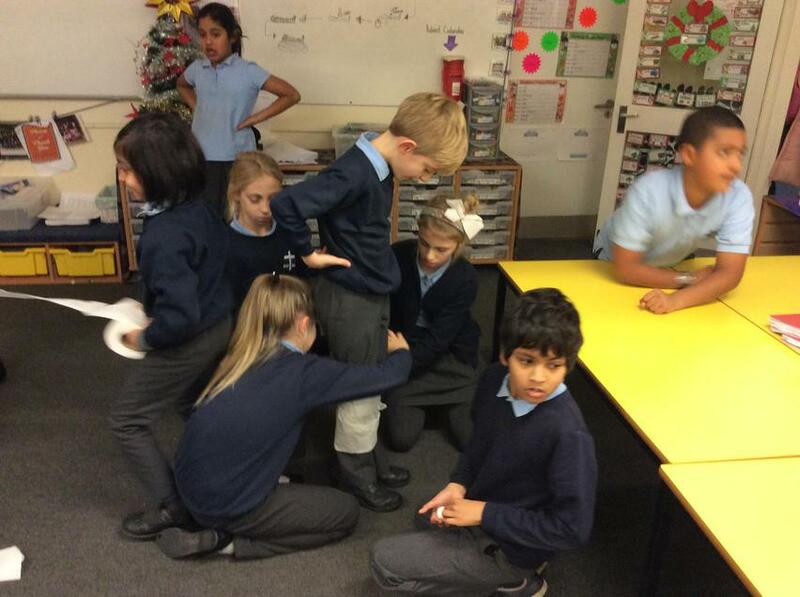 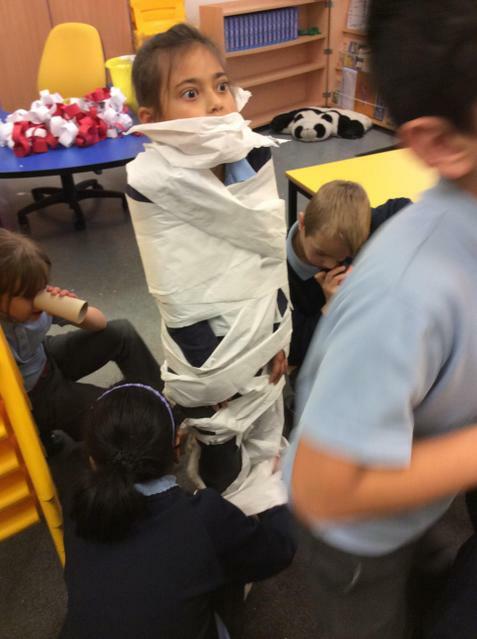 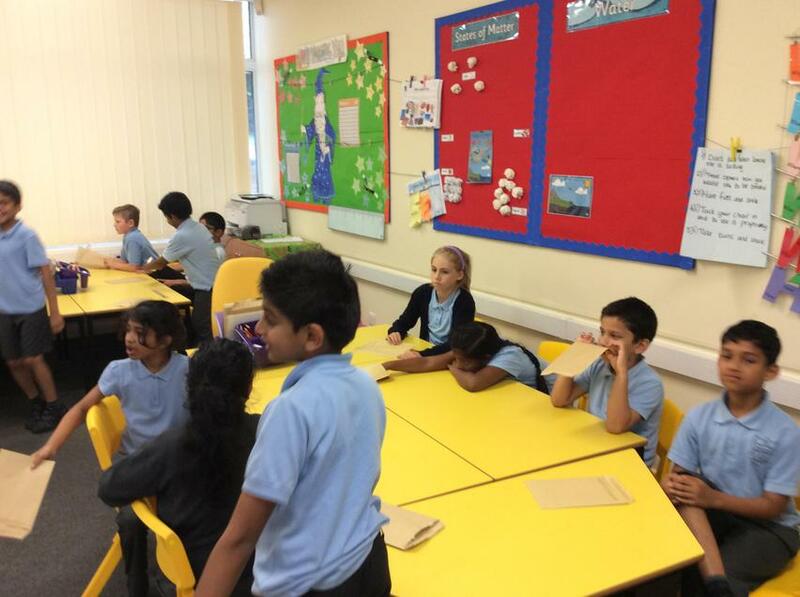 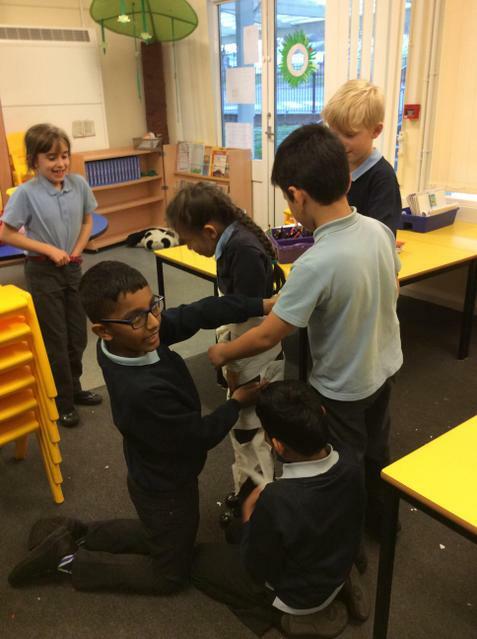 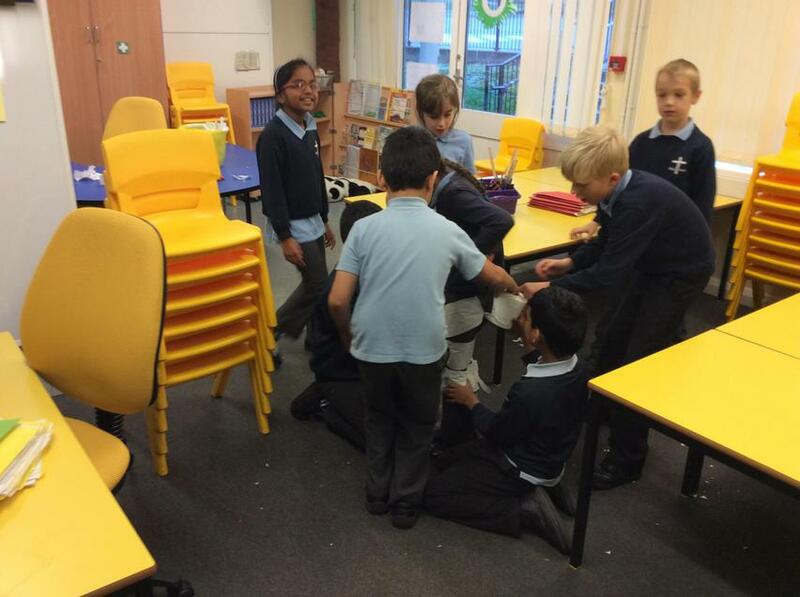 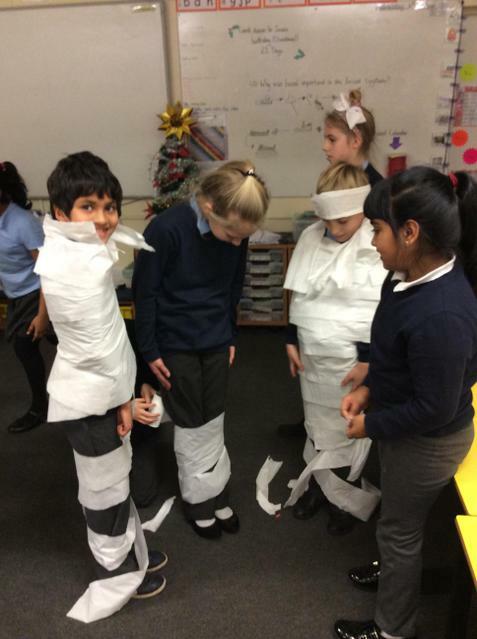 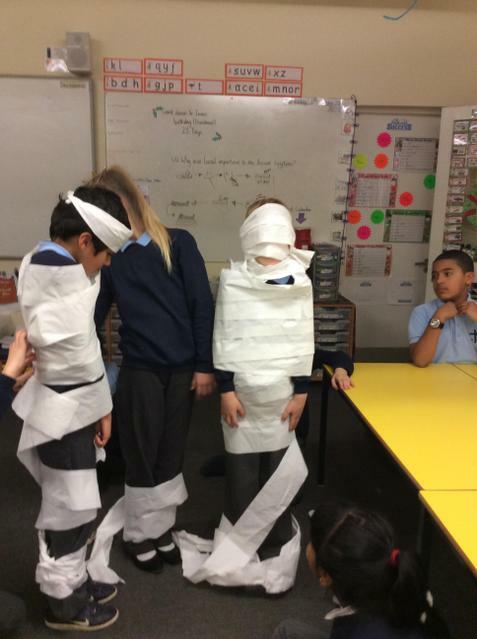 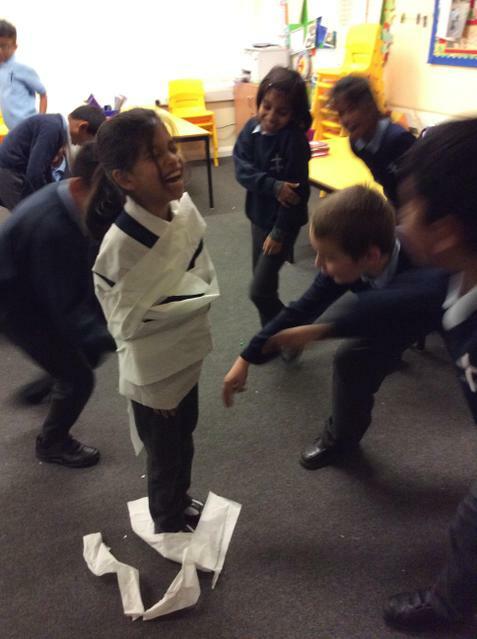 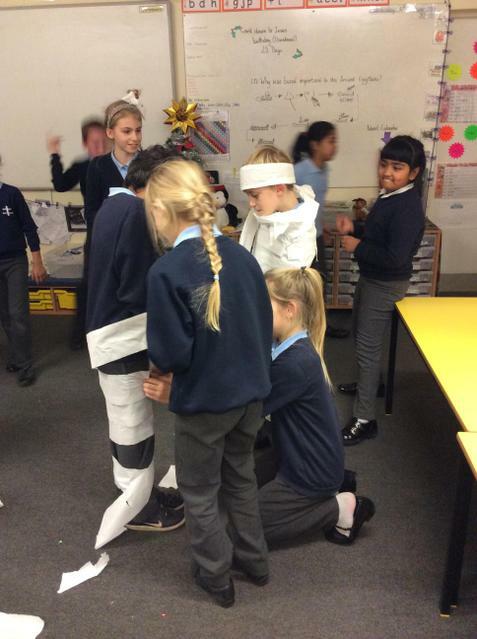 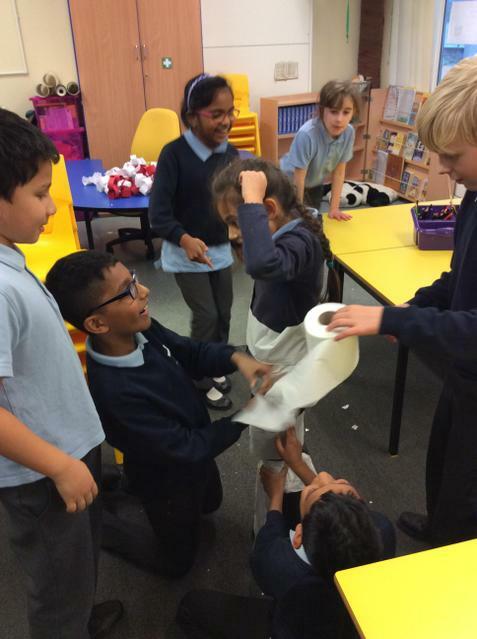 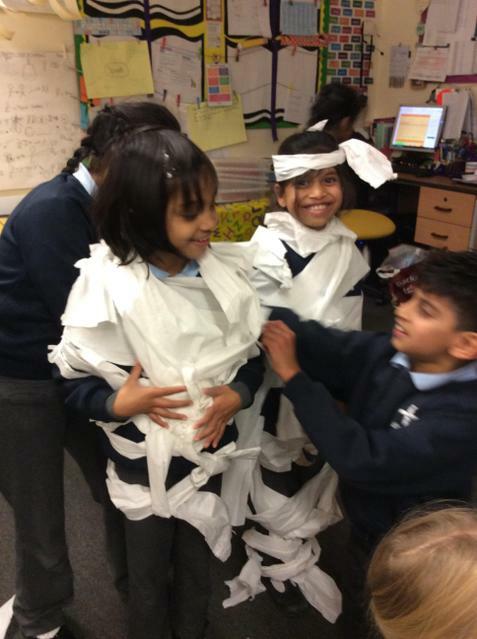 At the end of our History topic about the ancient Egyptians, the class held a competition to see which team could mummify their teammates the quickest. 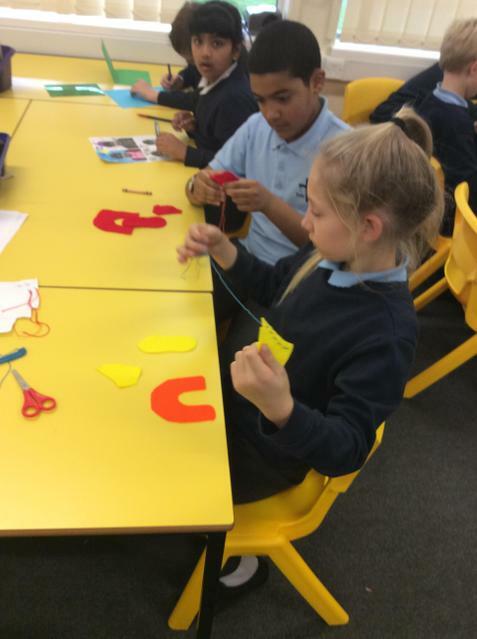 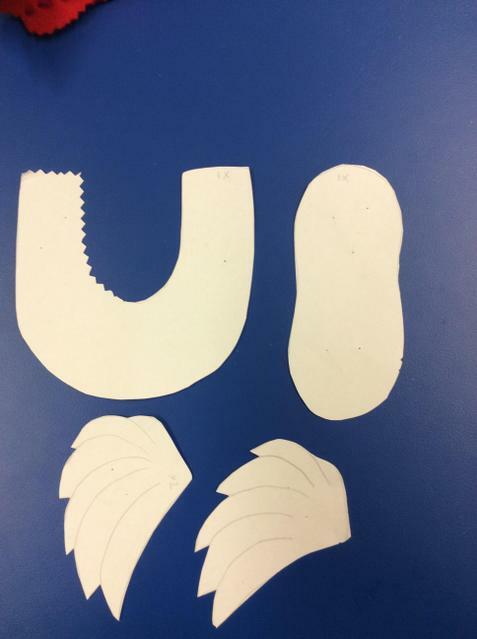 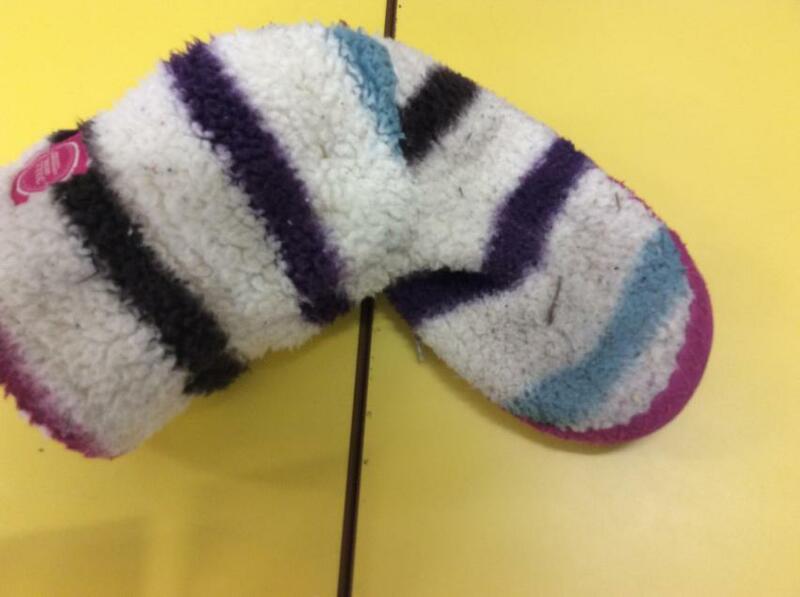 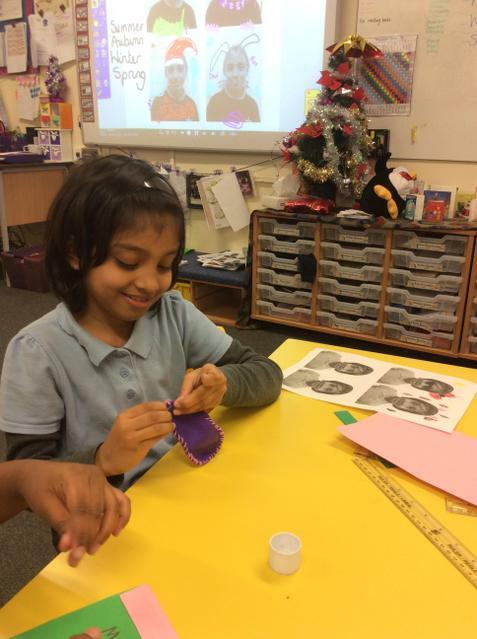 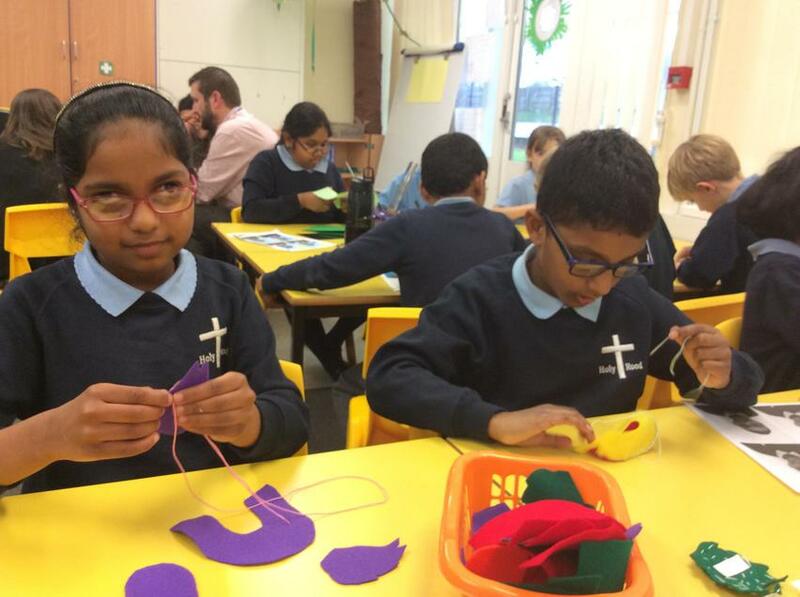 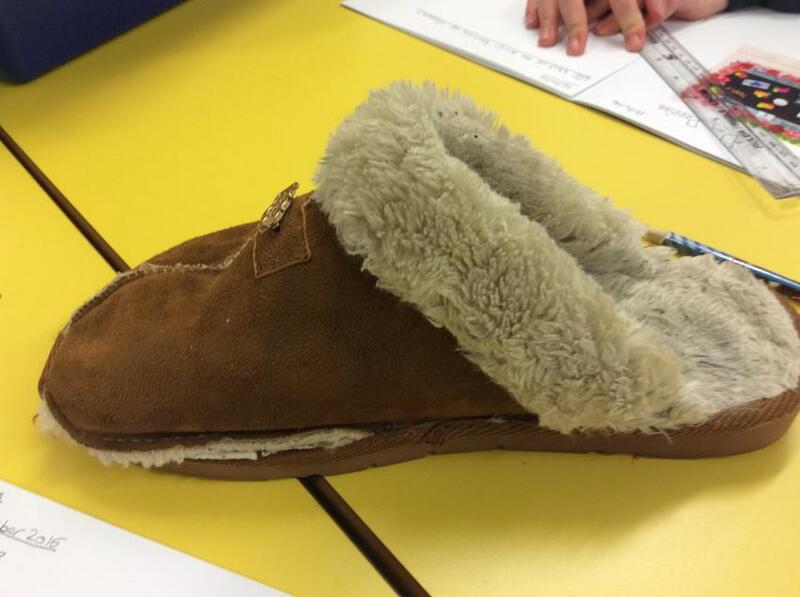 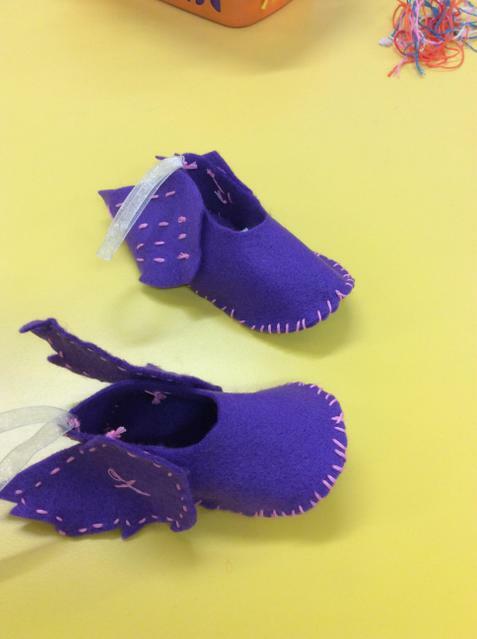 In DT we have been learning how slippers are made and about different sewing techniques. 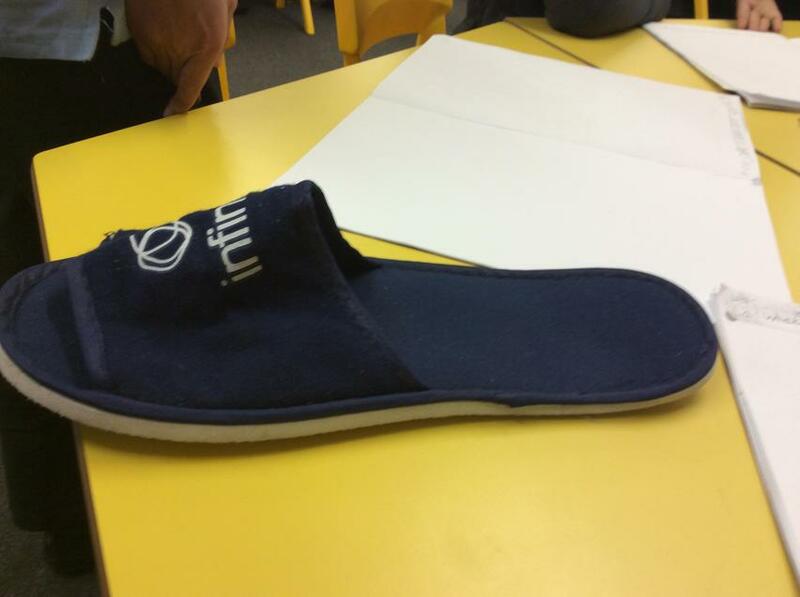 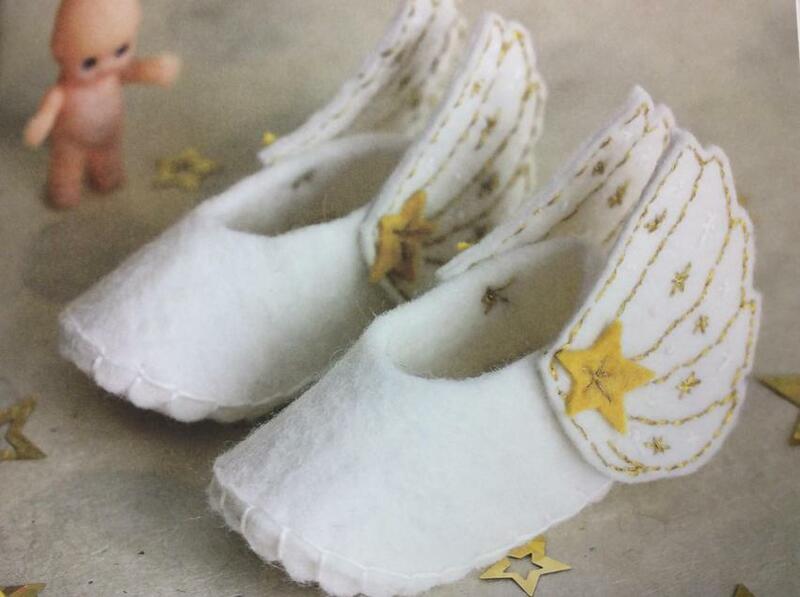 We then put our techniques into practise and produced our own slippers. 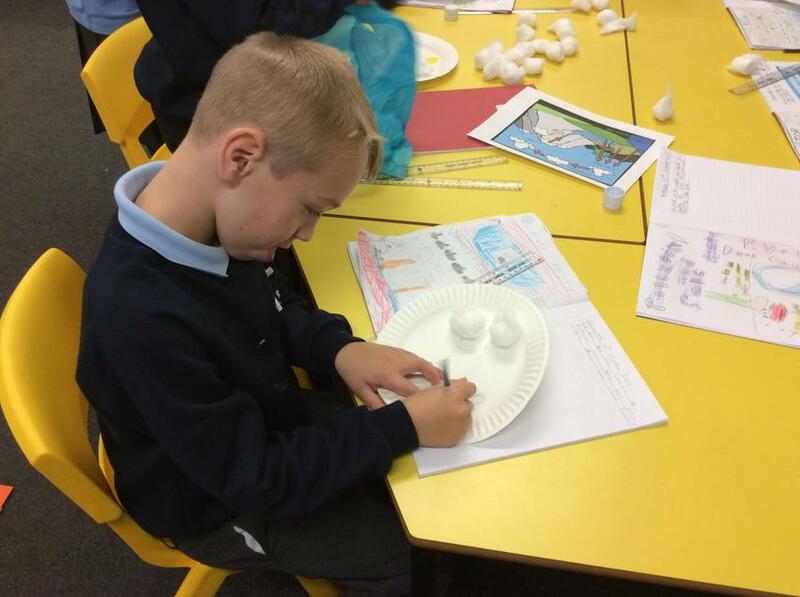 We have been learning about the architecture of Famous buildings. 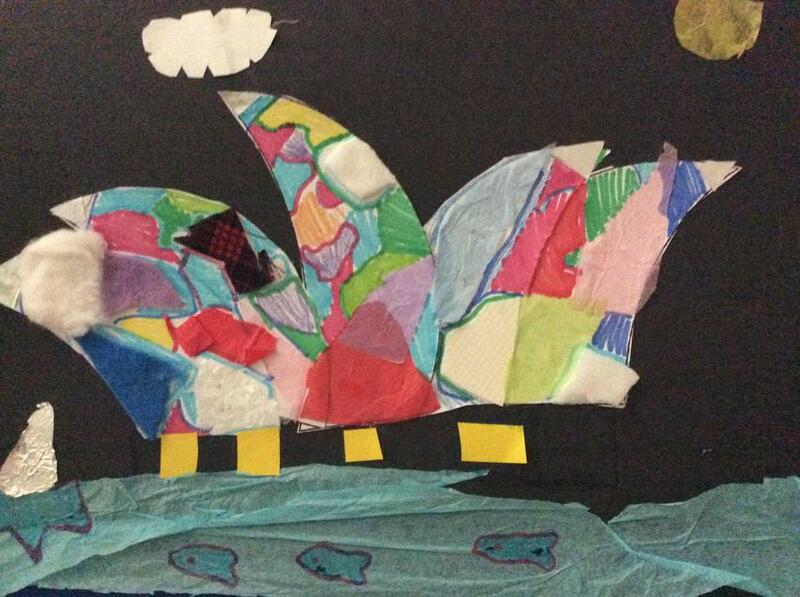 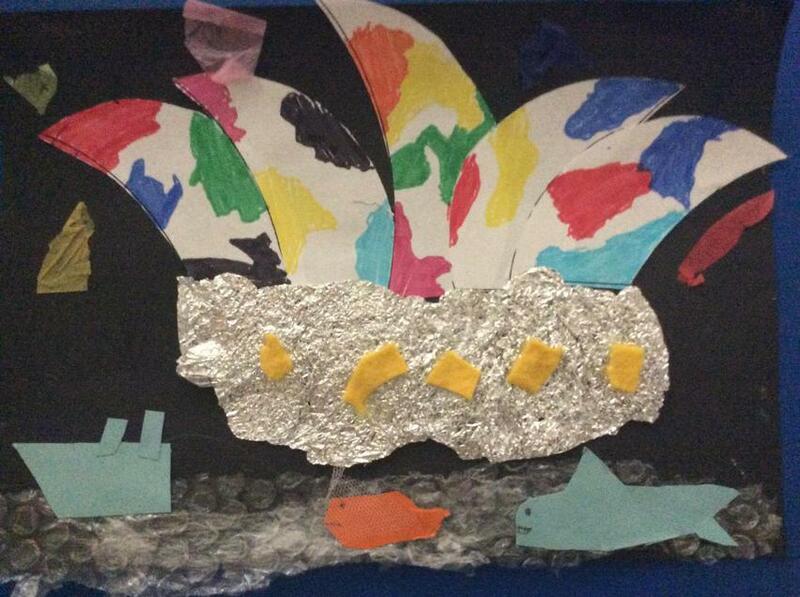 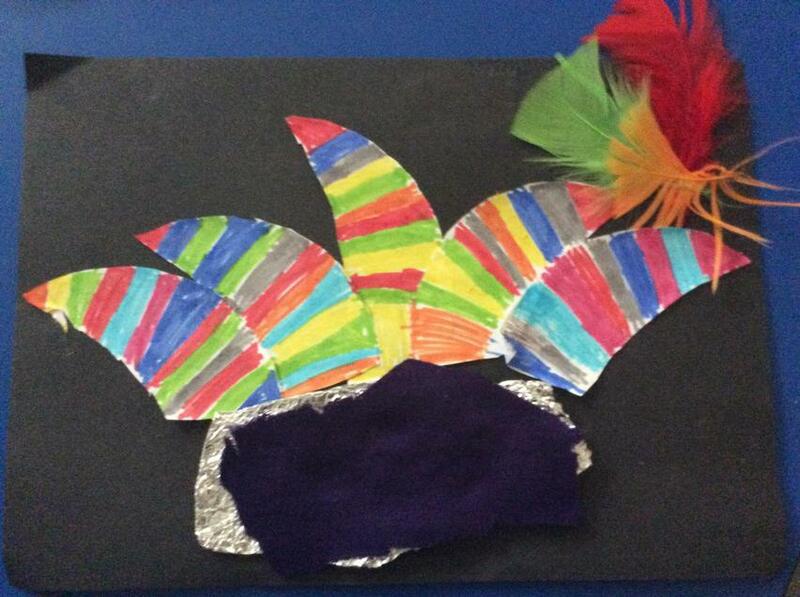 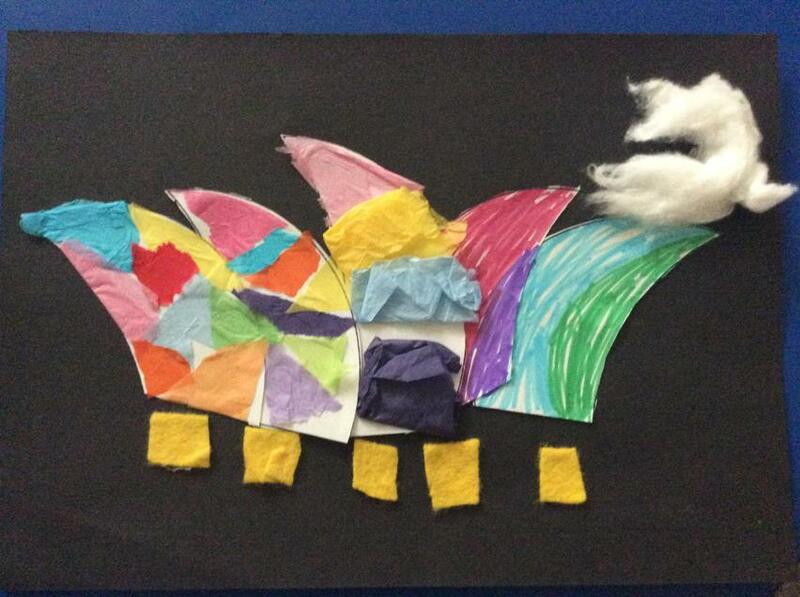 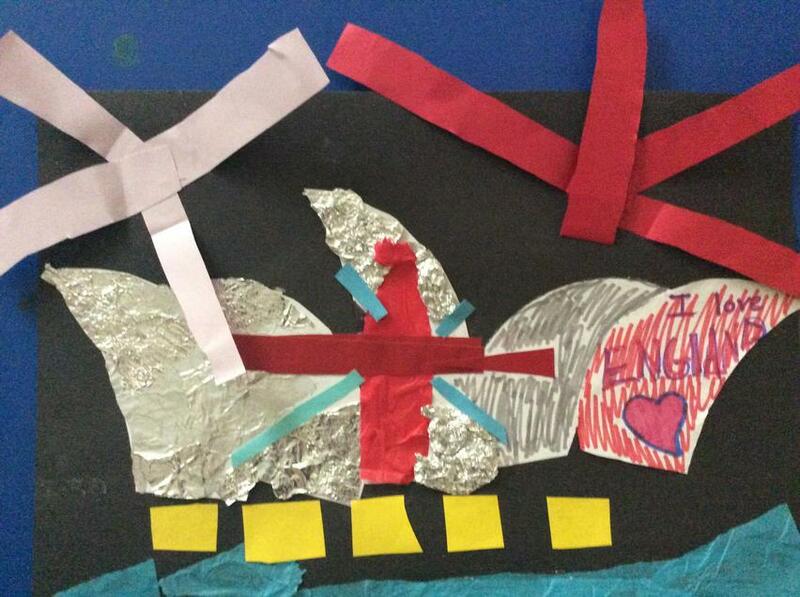 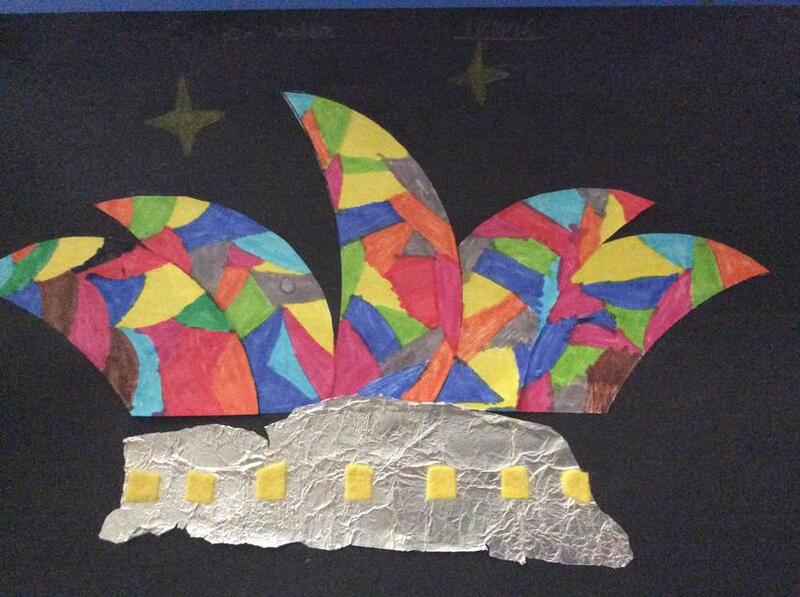 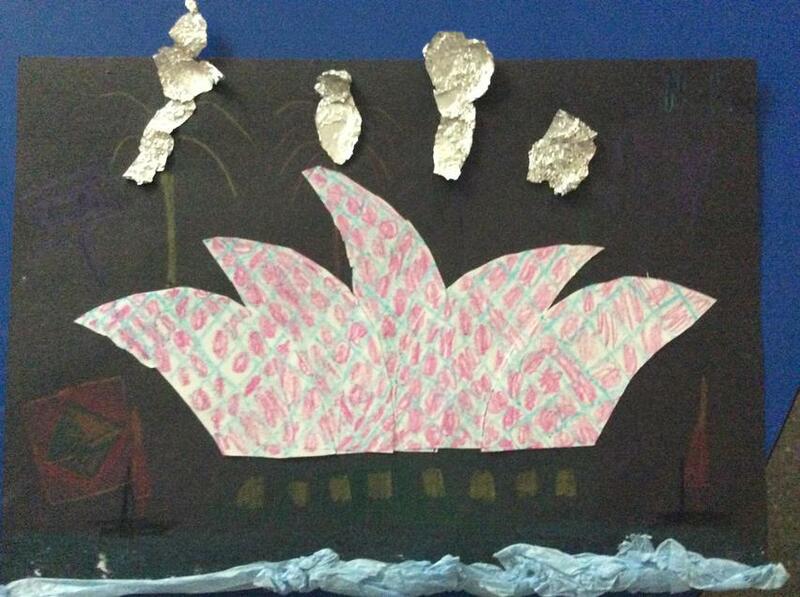 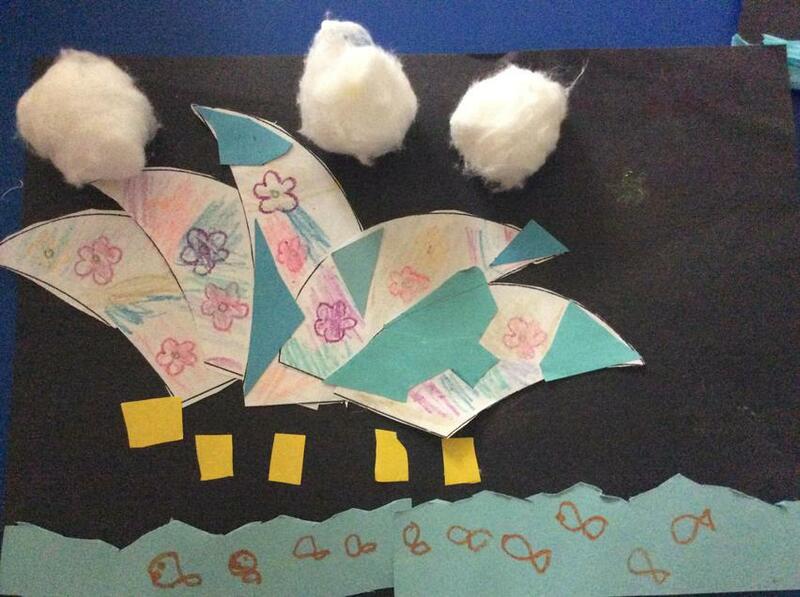 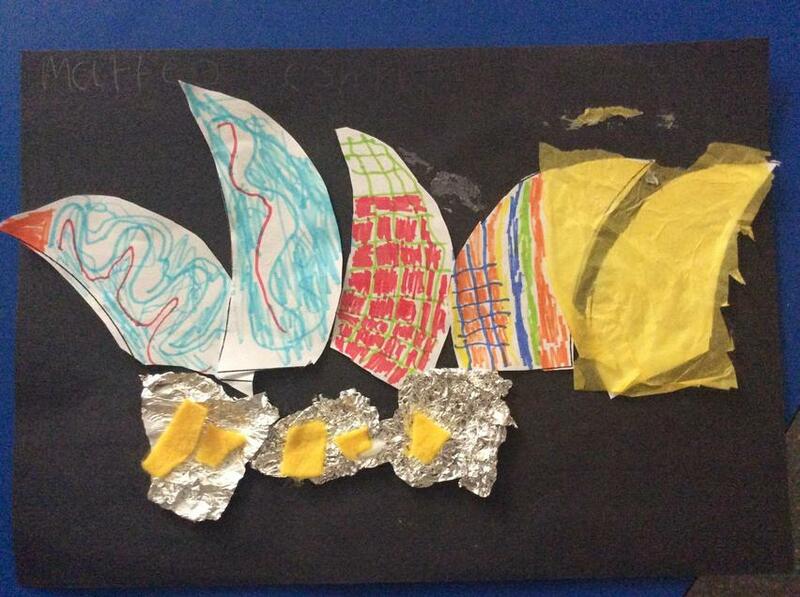 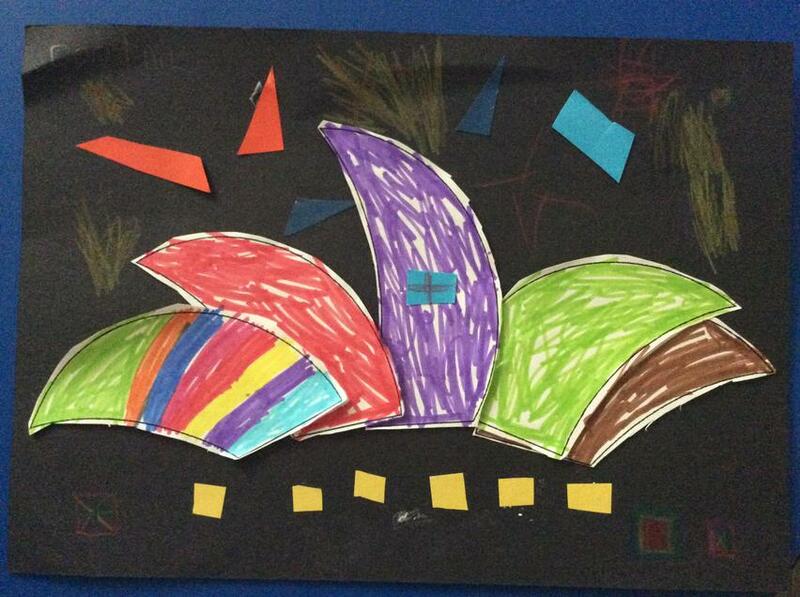 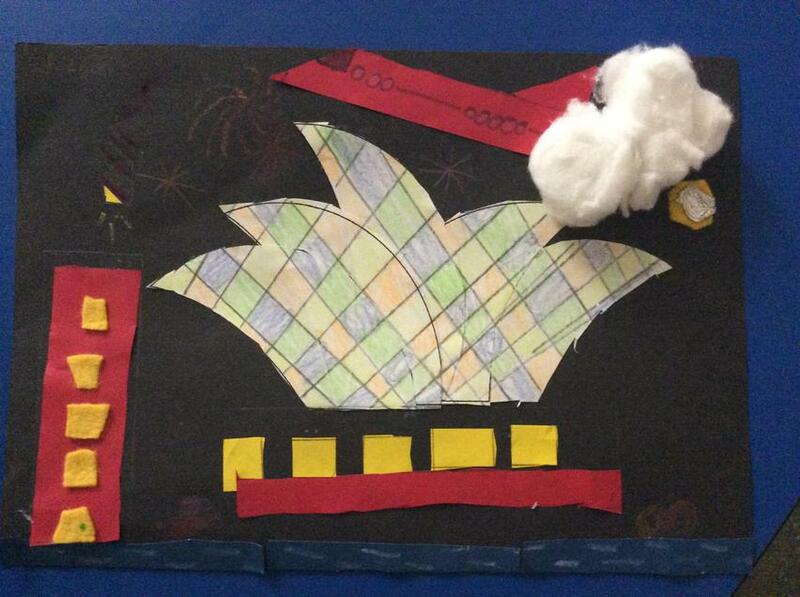 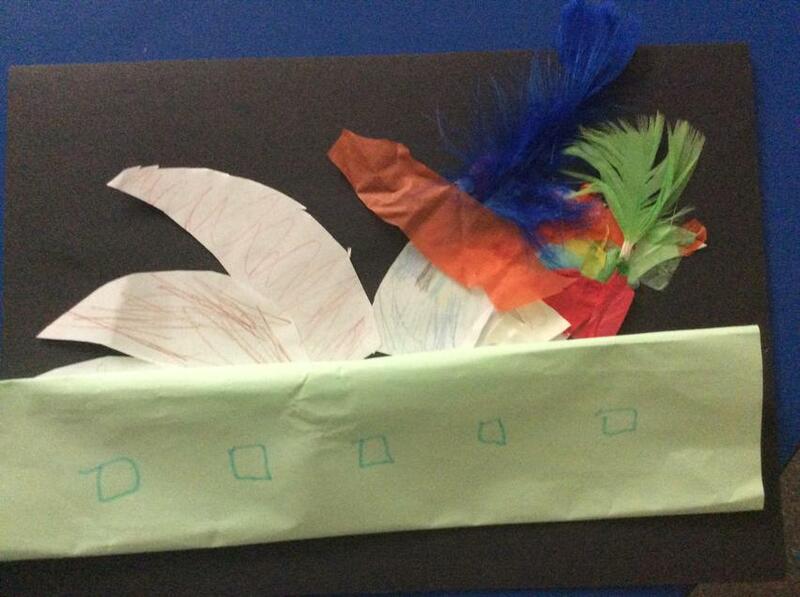 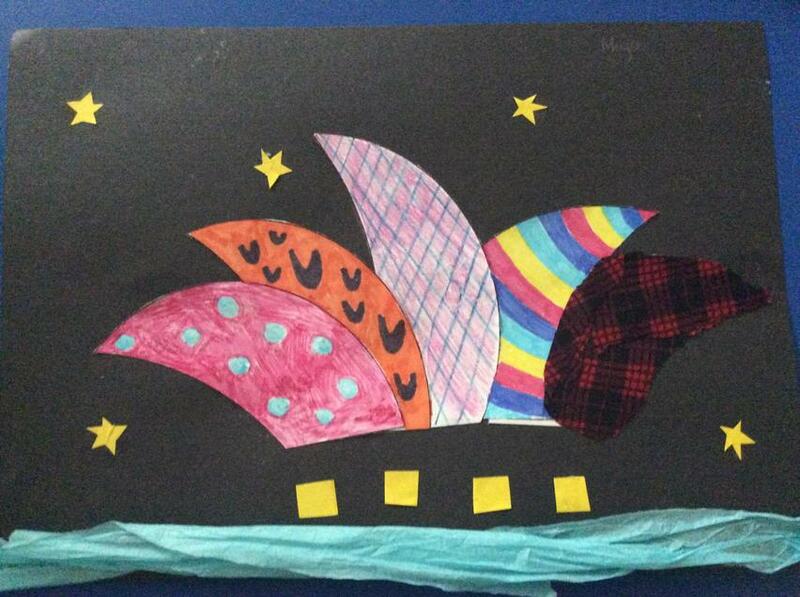 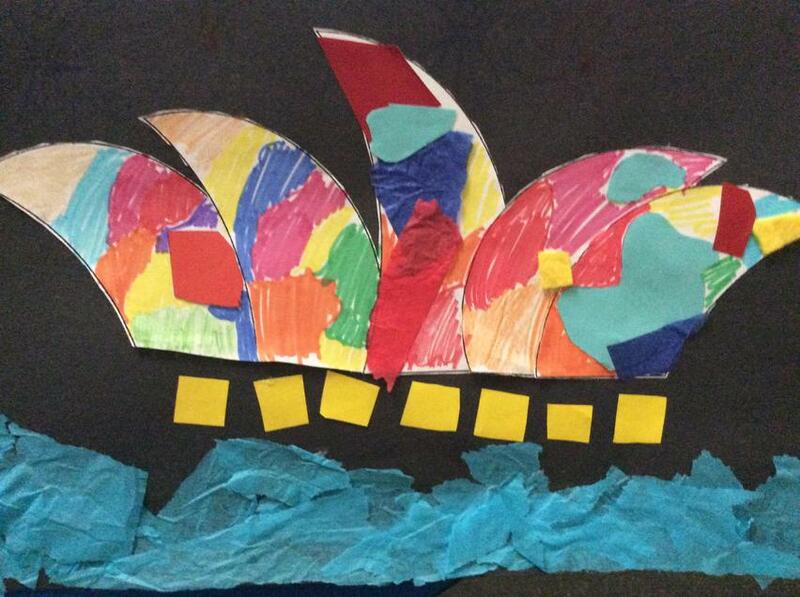 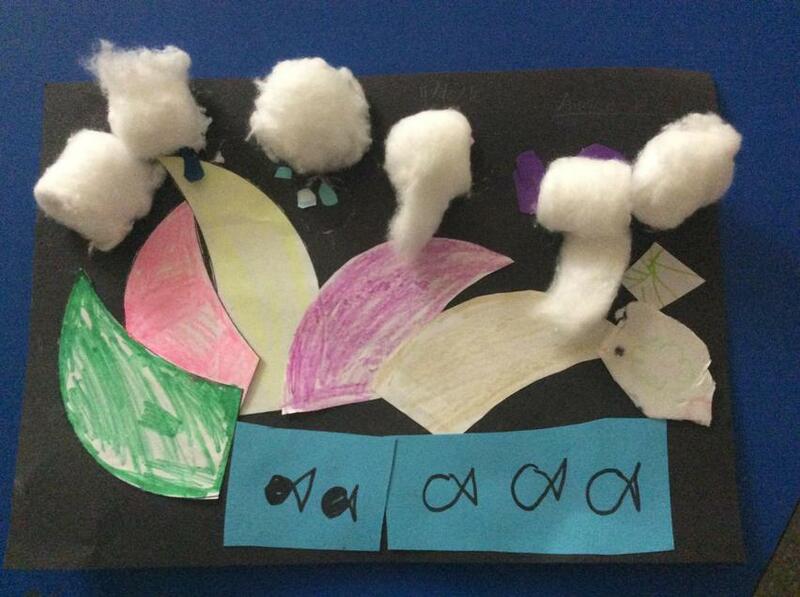 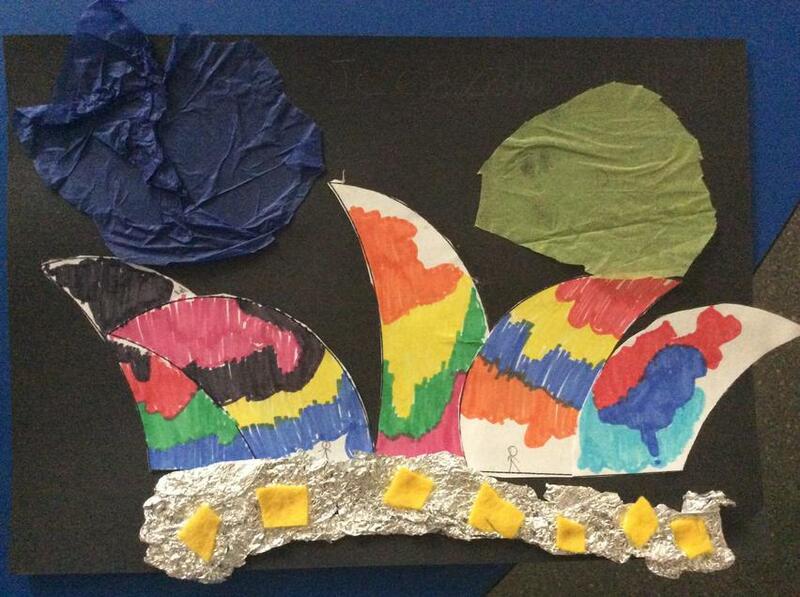 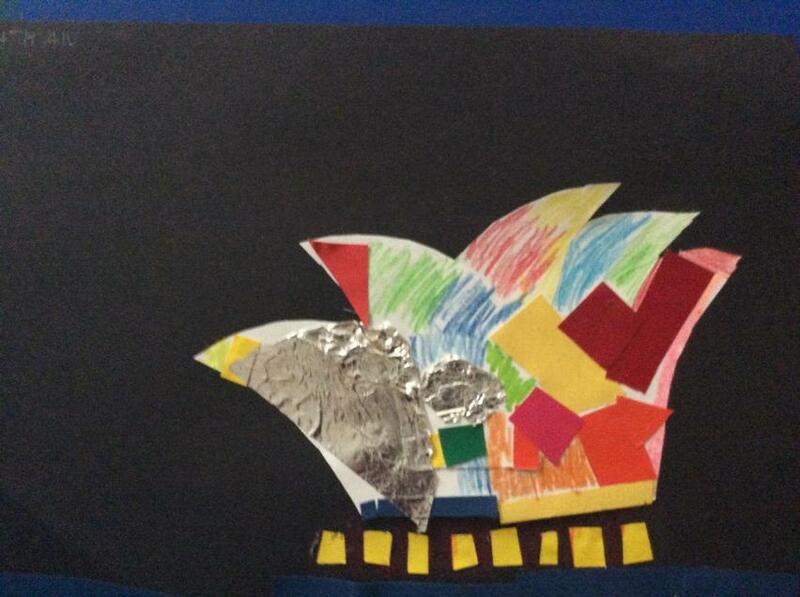 We re created our own versions of the Light Vision Show on the Sydney Opera House. 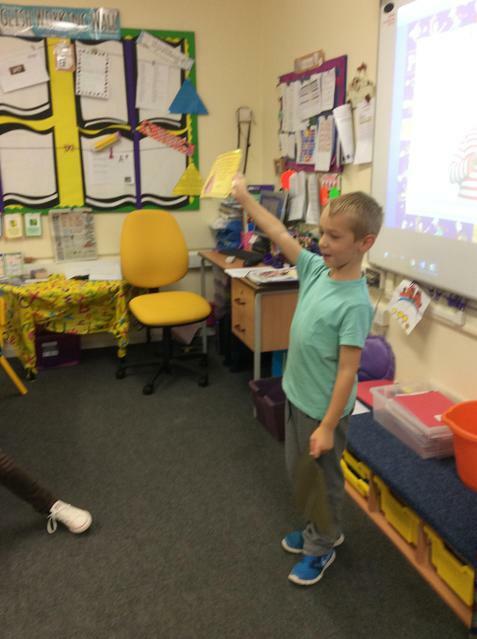 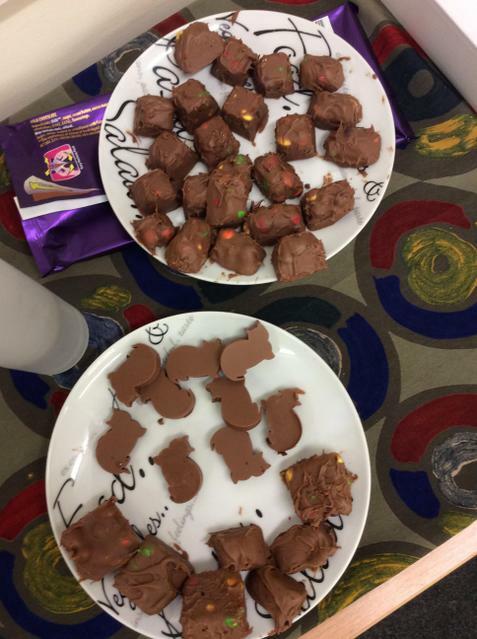 A number of activities from making our own chocolate sweets, thoughts and feelings when finding or not finding a golden ticket to visiting our own chocolate factory and role playing in Mikes TV. 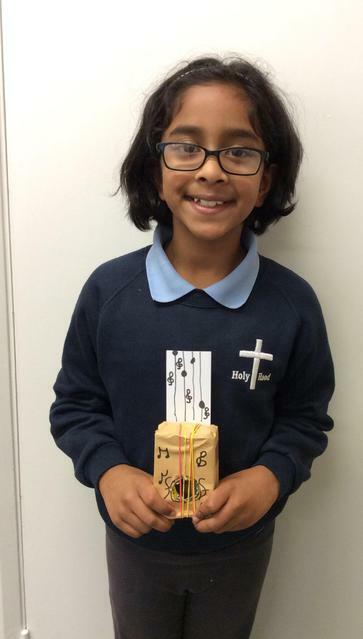 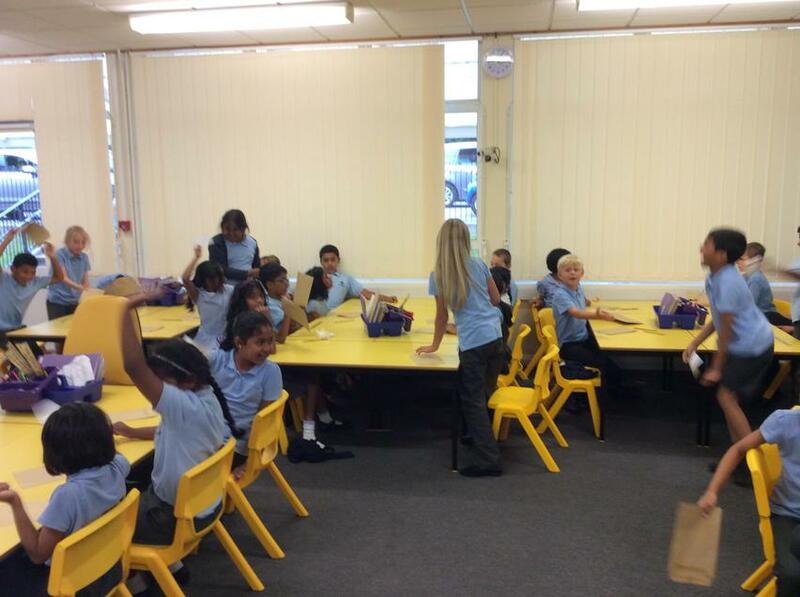 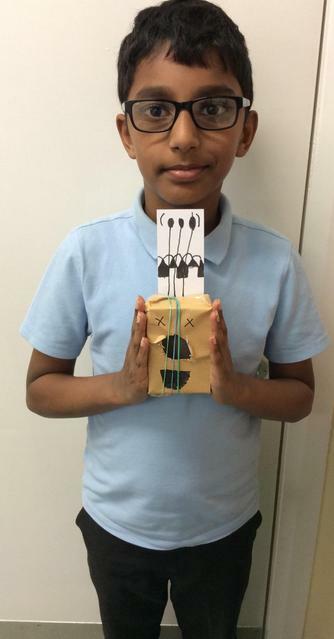 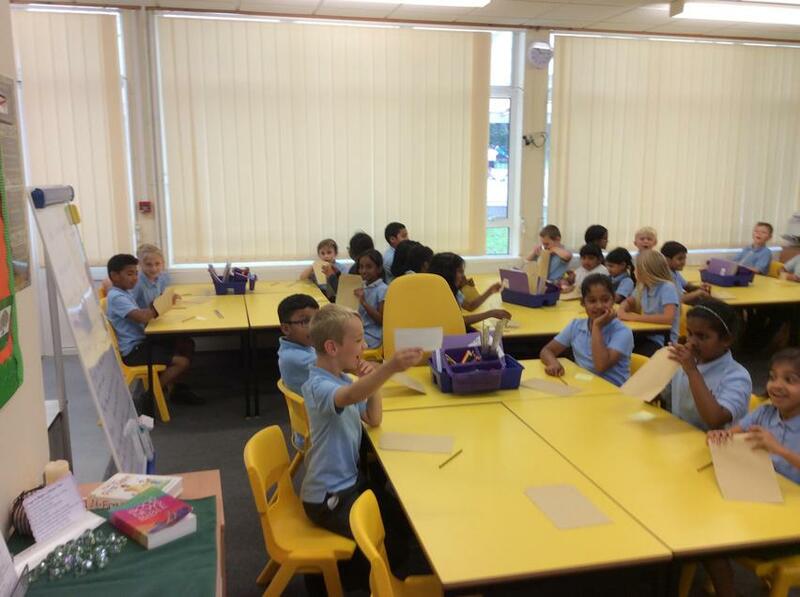 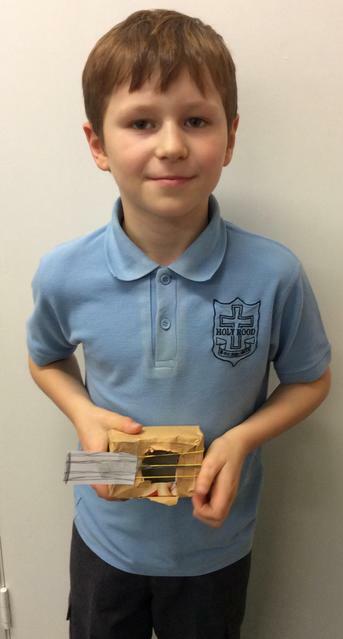 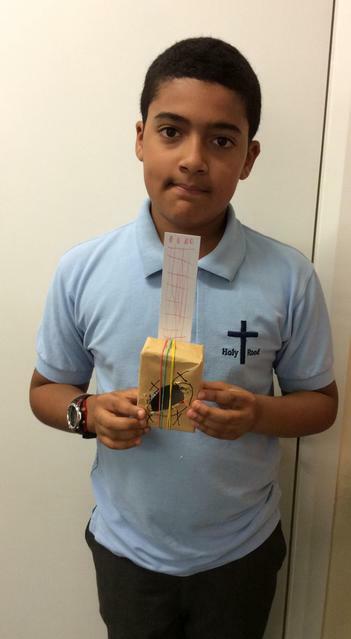 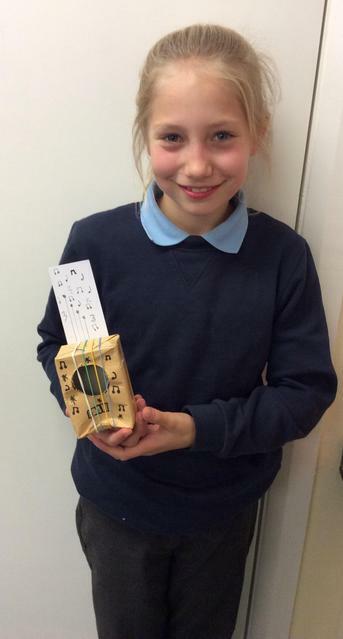 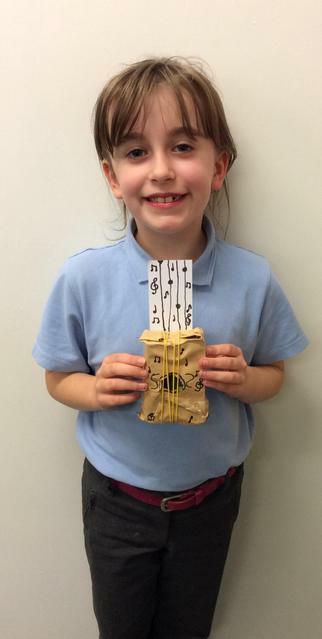 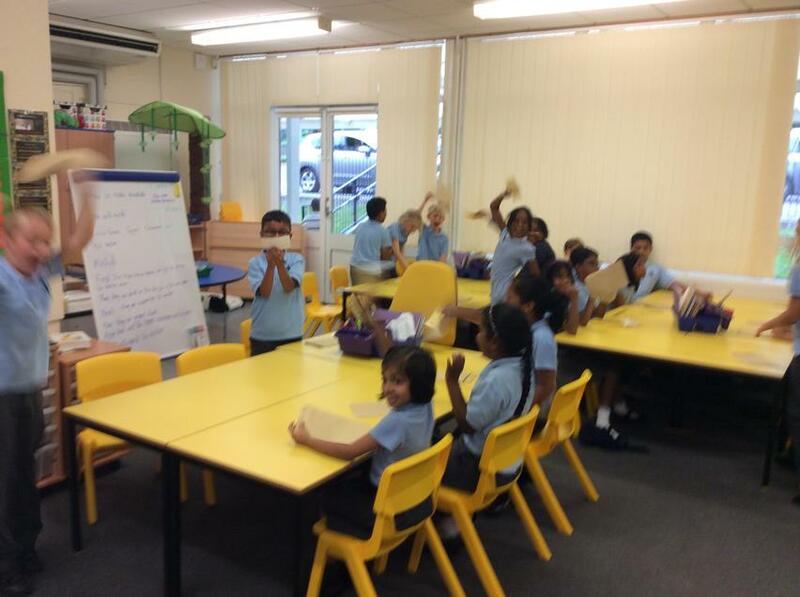 Our new topic in Science this term is Sound, we have made our own Ukulele's and will be discovering how sound travels. 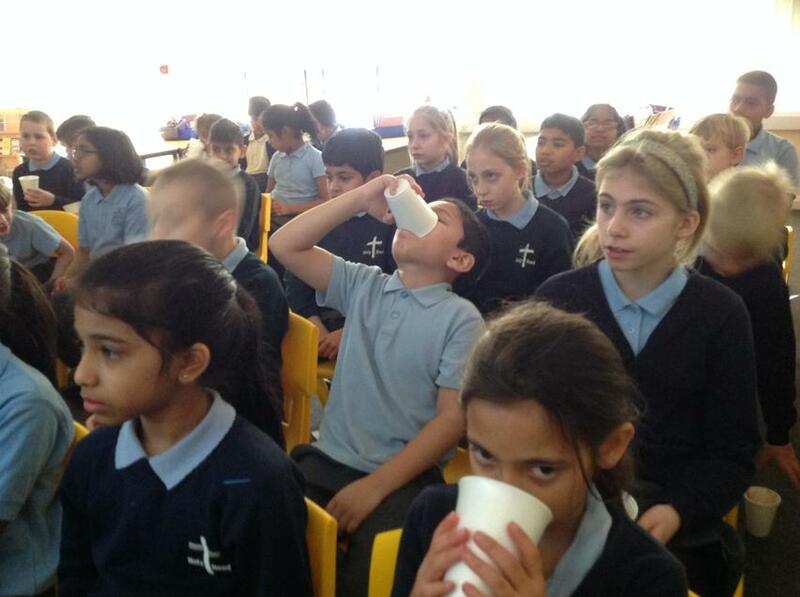 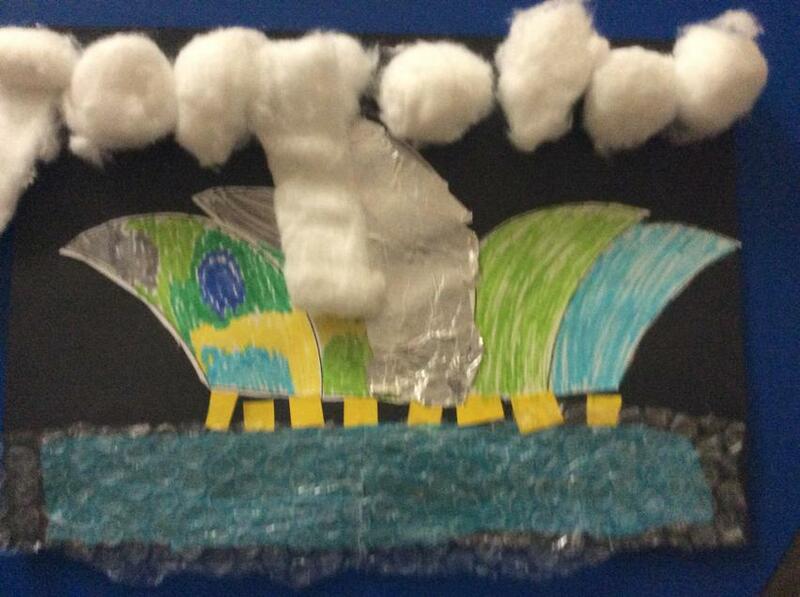 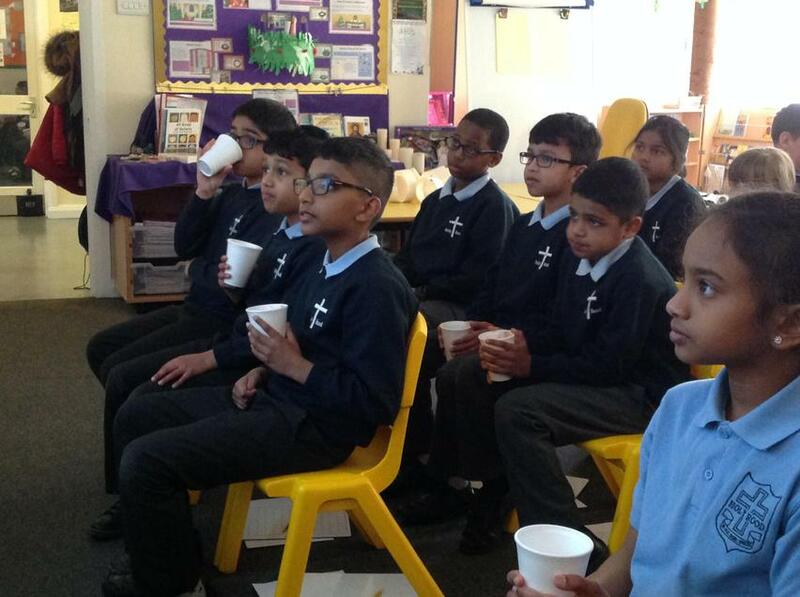 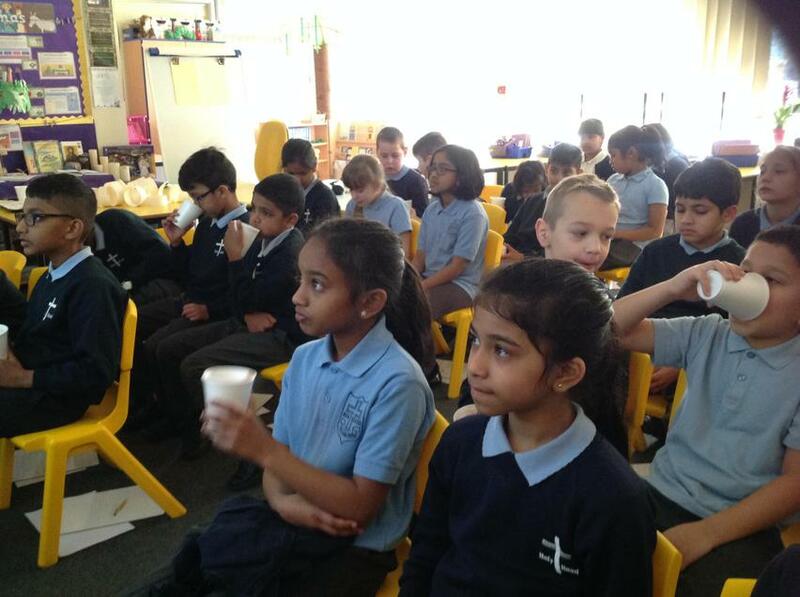 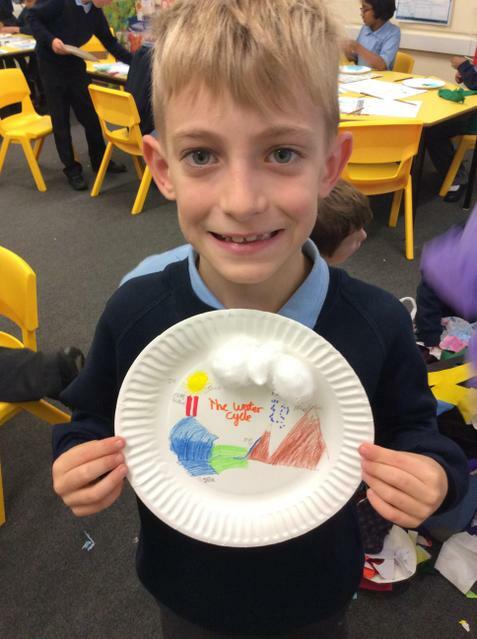 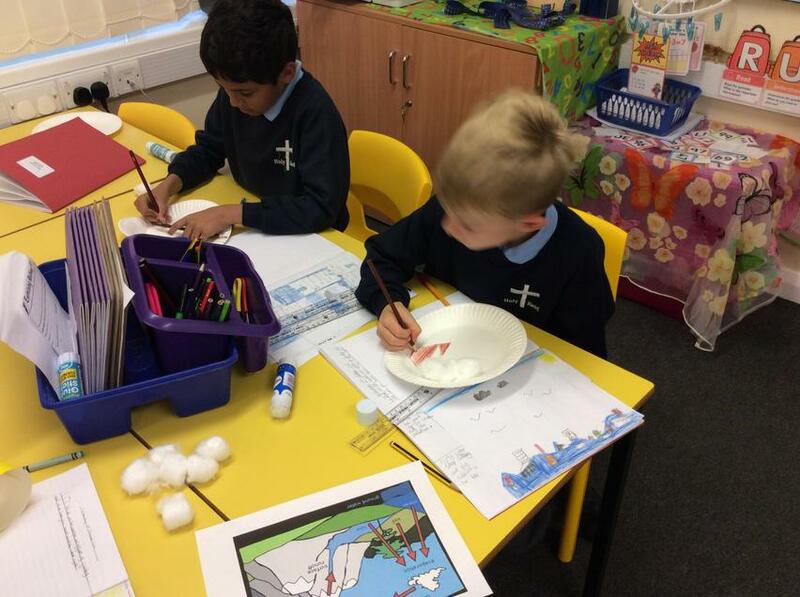 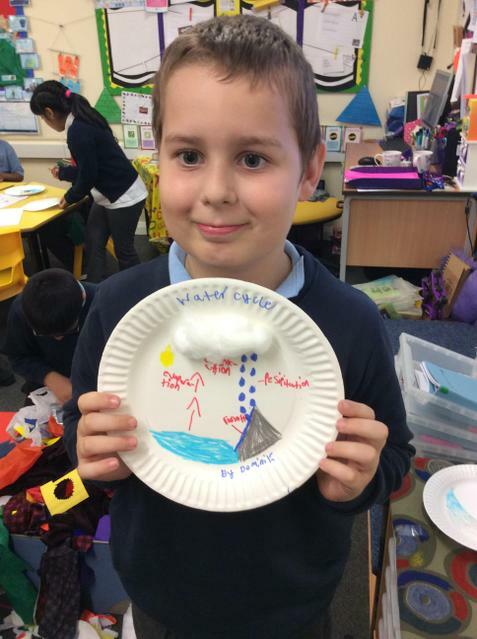 In Geography we have been learning about the Water Cycle and how it works. 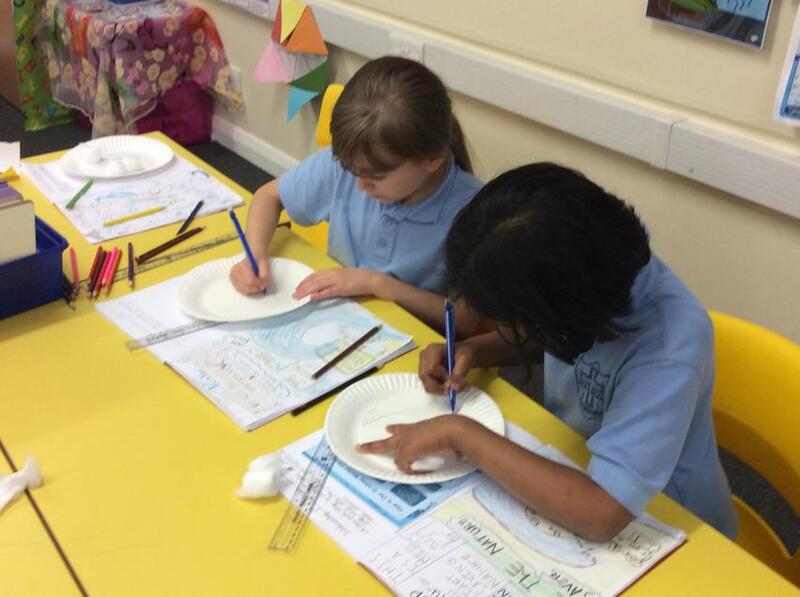 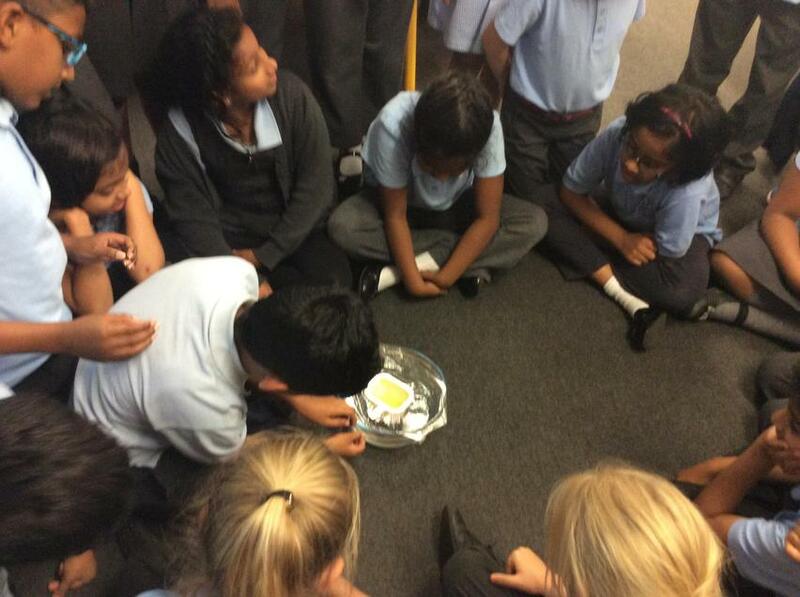 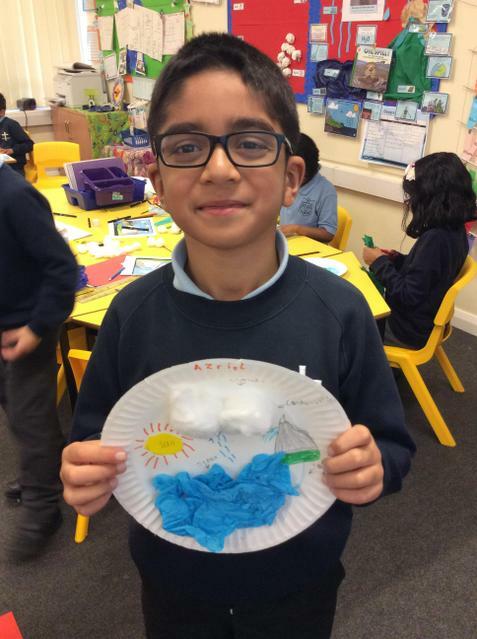 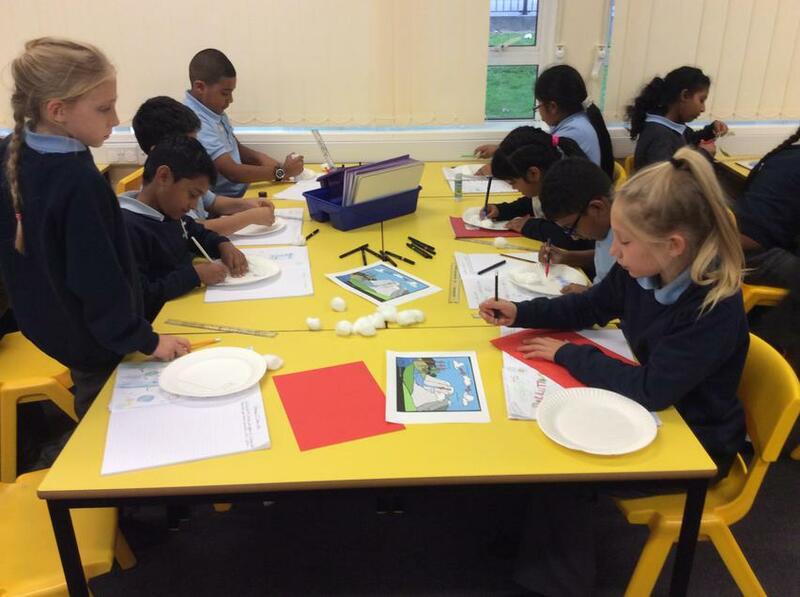 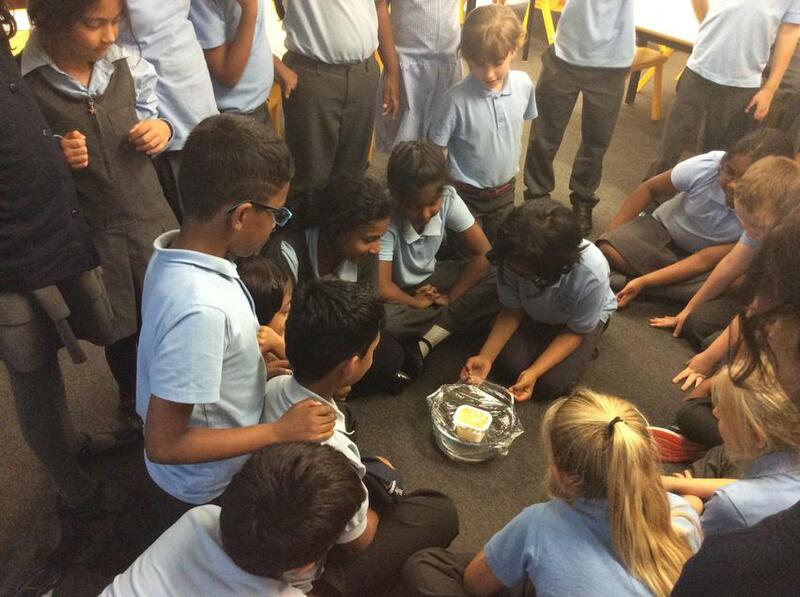 We carried out experiments to see how clouds were formed and why and created our own Water Cycle plates to show off our knowledge.